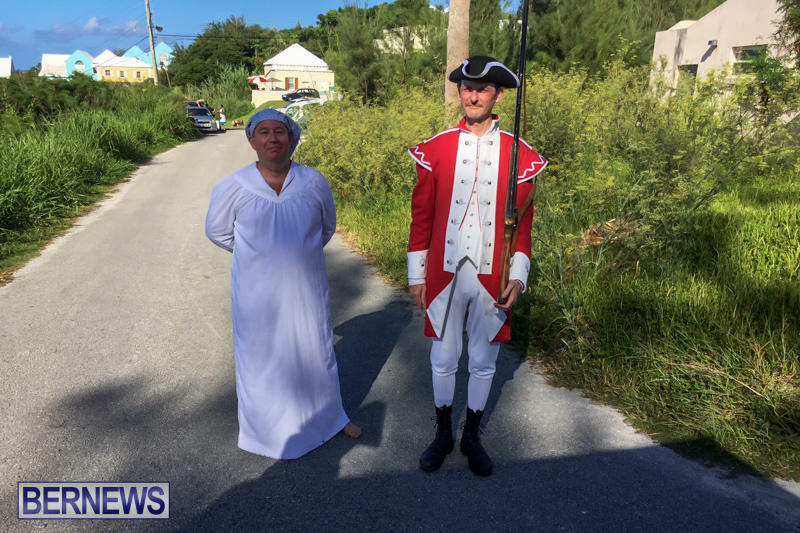 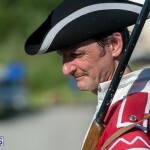 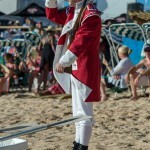 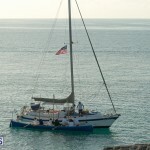 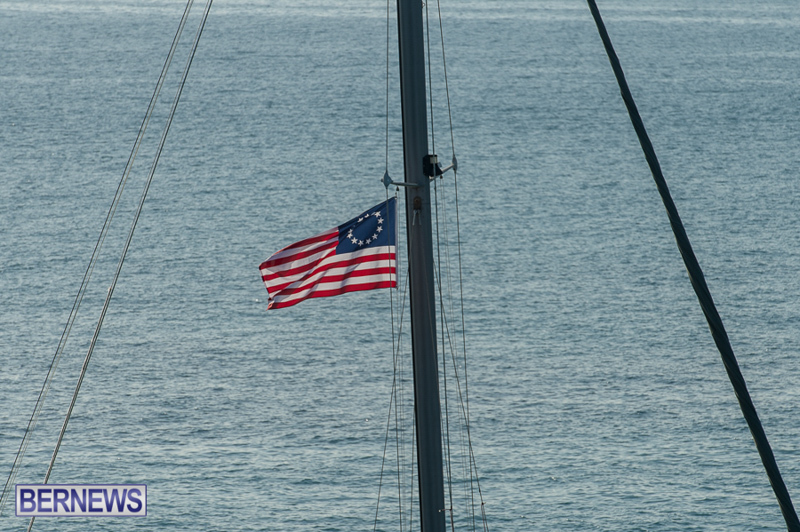 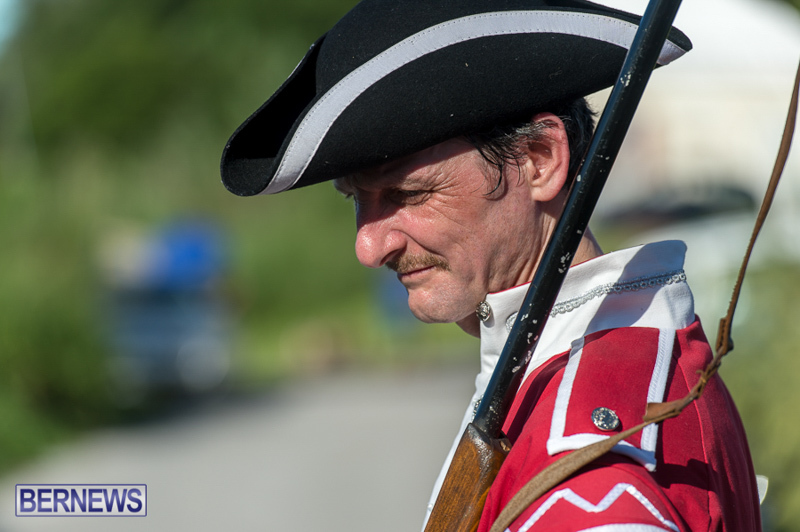 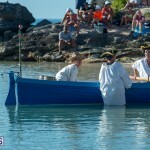 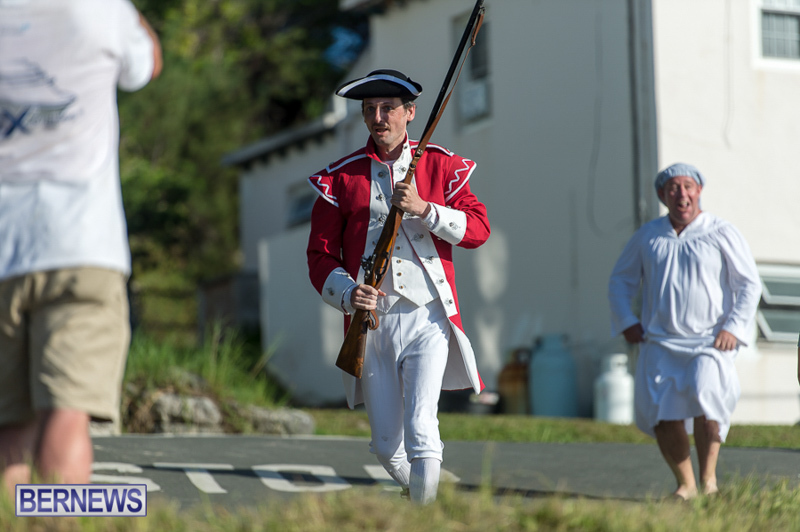 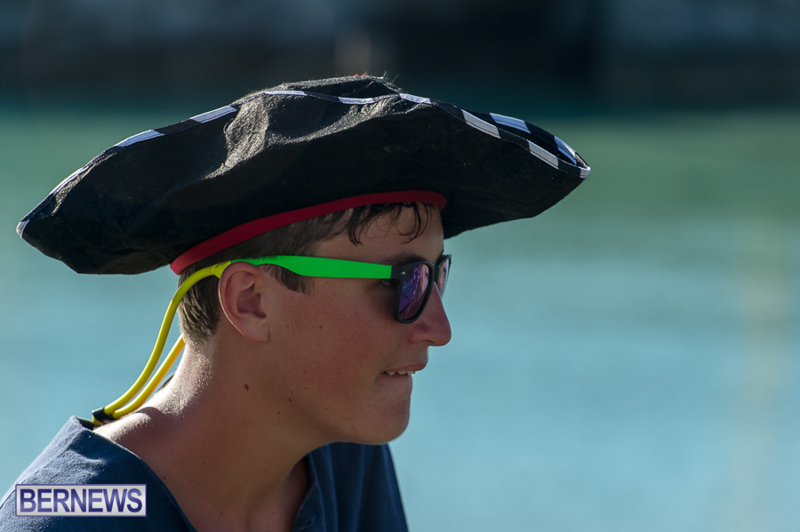 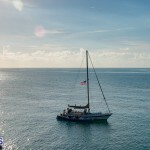 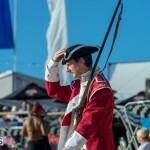 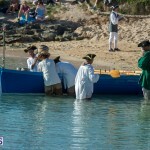 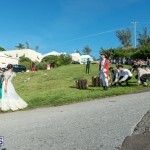 Members of the Sons of the American Revolution [SAR], the Daughters of the American Revolution [DAR], and the Children of the American Revolution [CAR] are in Bermuda to commemorate the 240th anniversary of the Bermuda Gunpowder Plot. 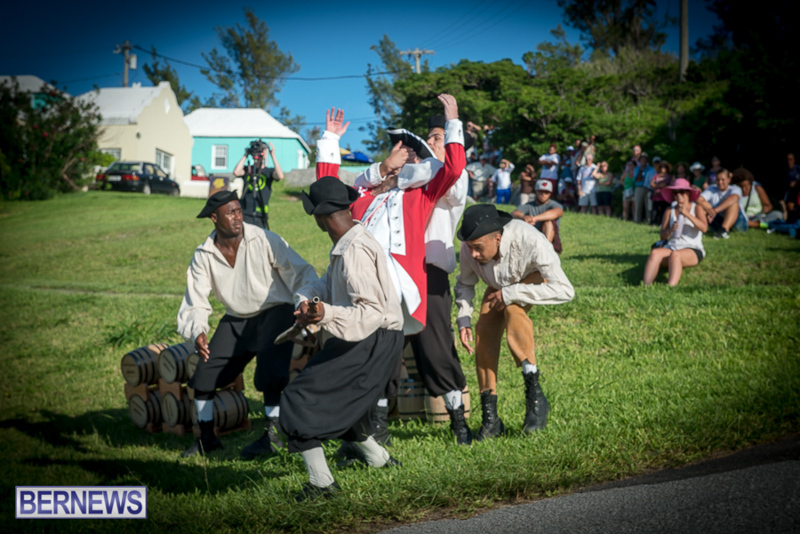 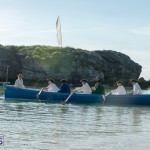 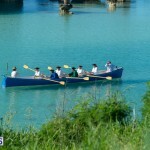 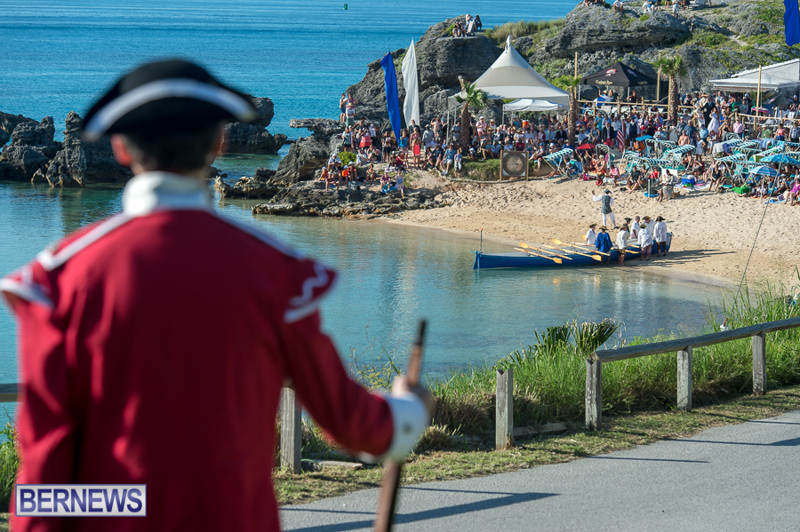 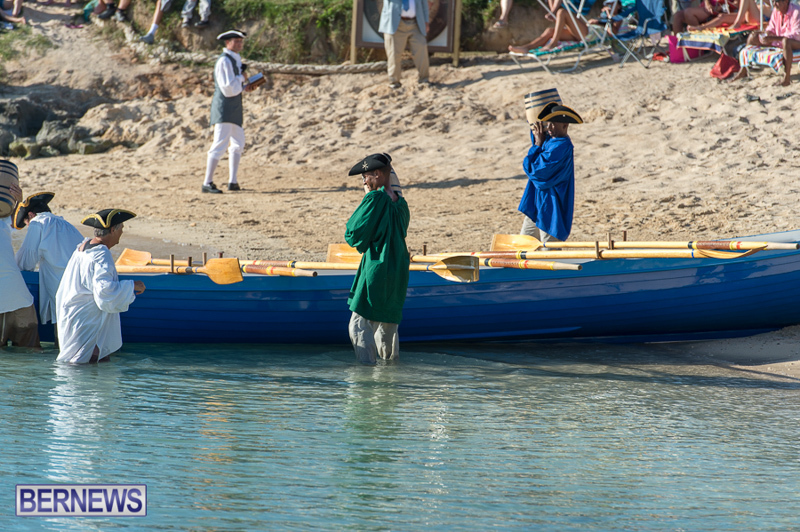 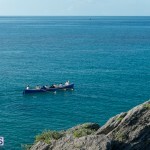 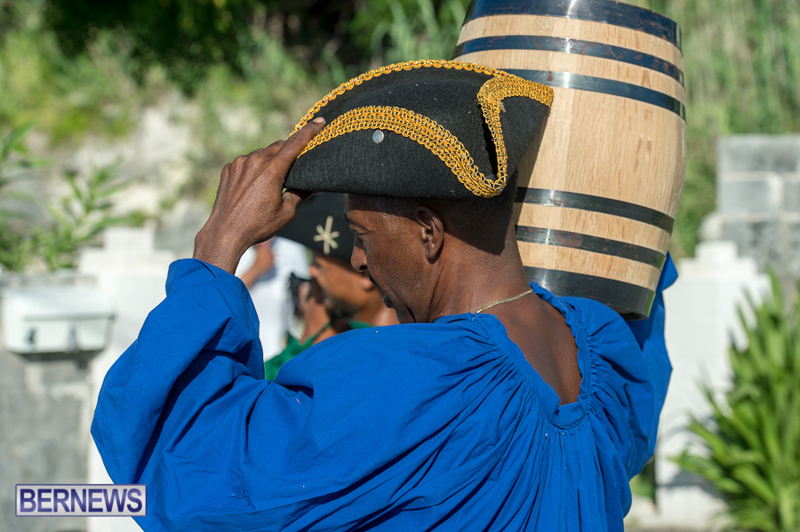 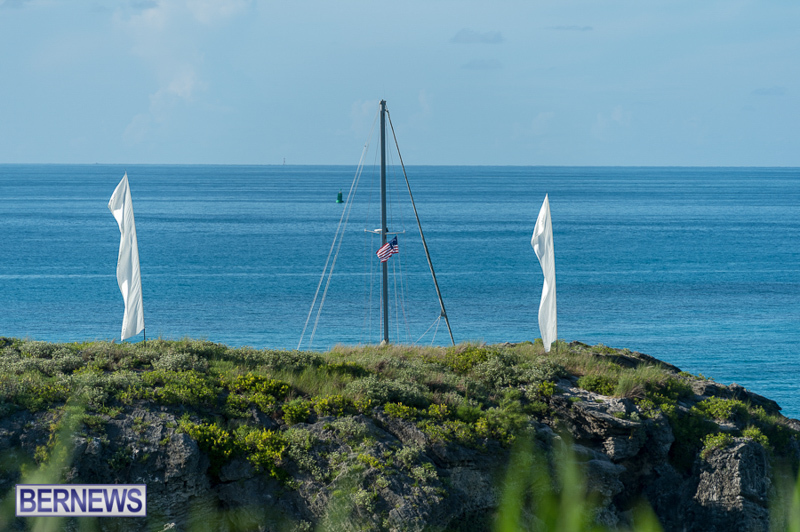 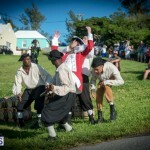 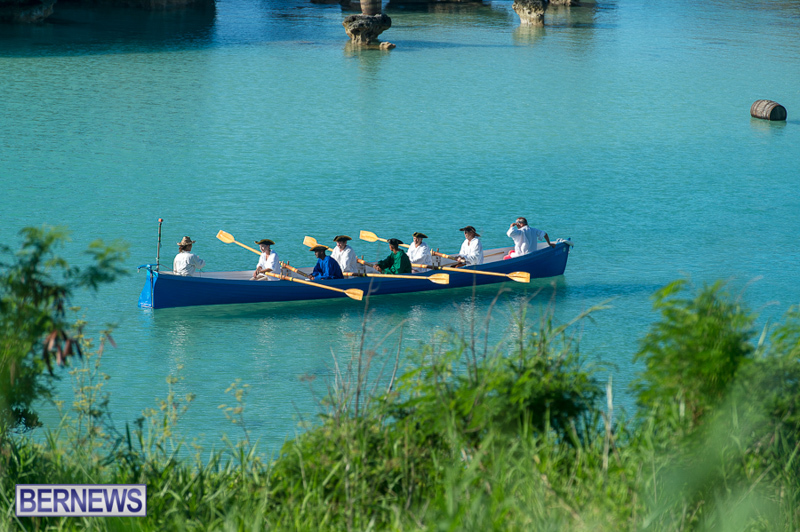 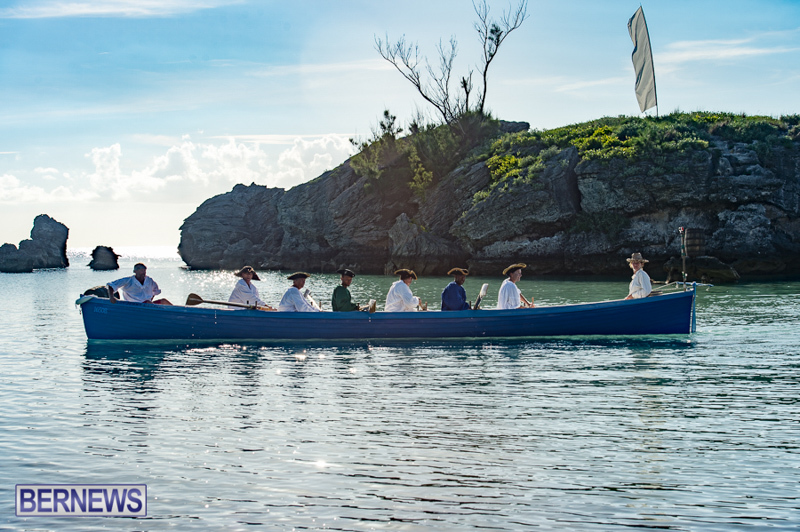 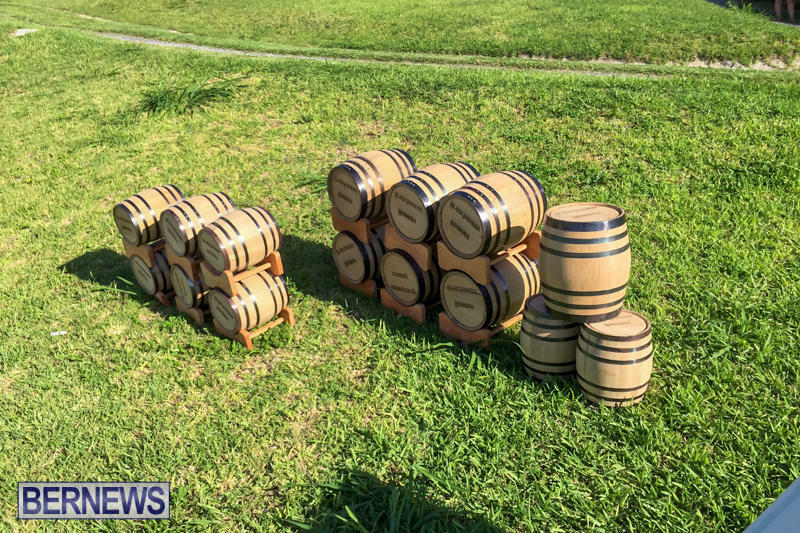 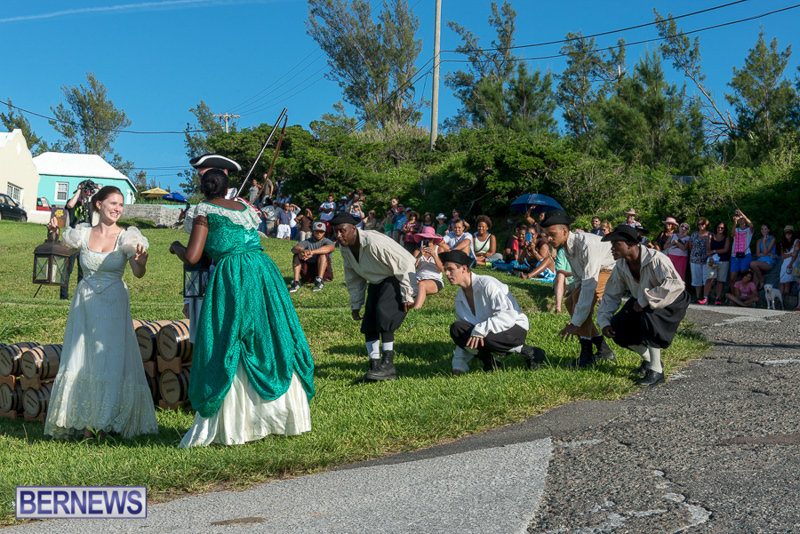 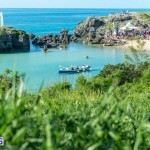 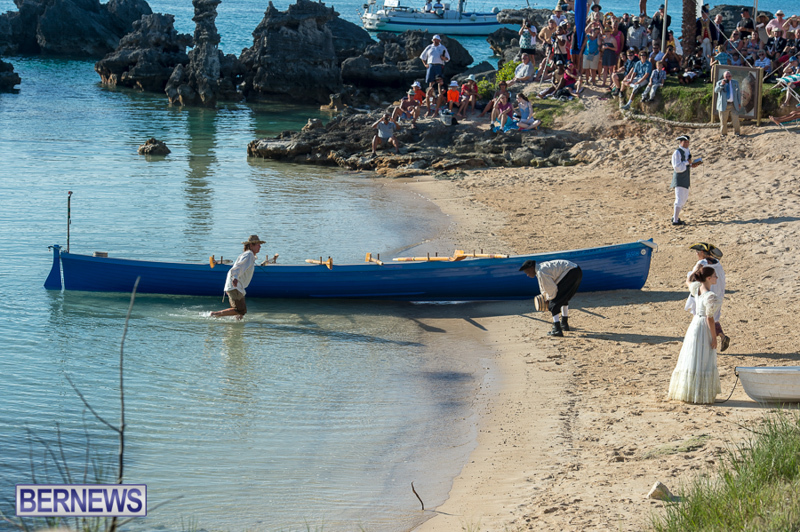 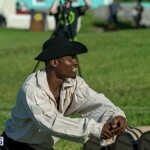 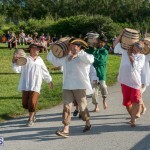 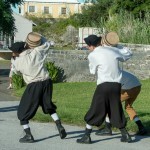 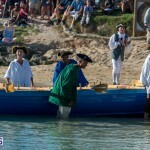 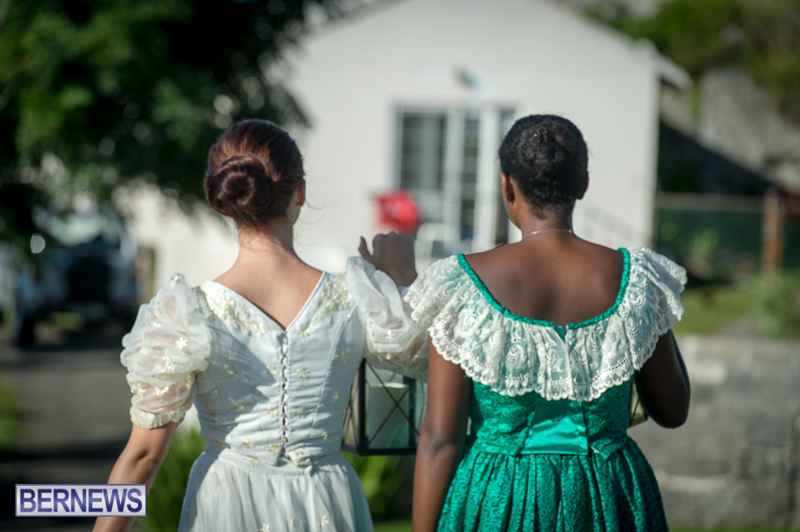 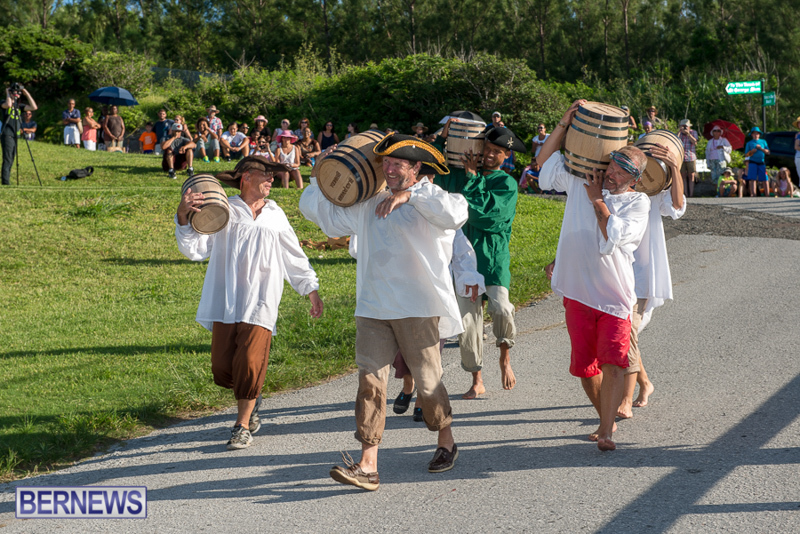 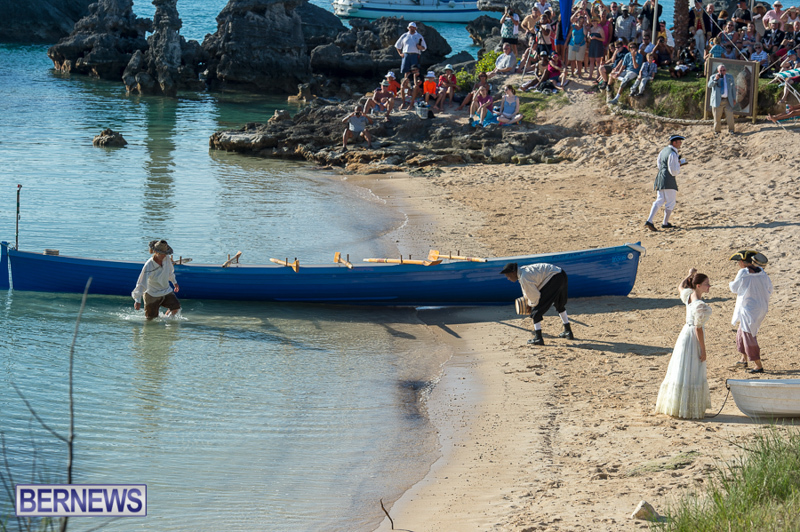 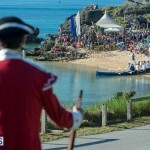 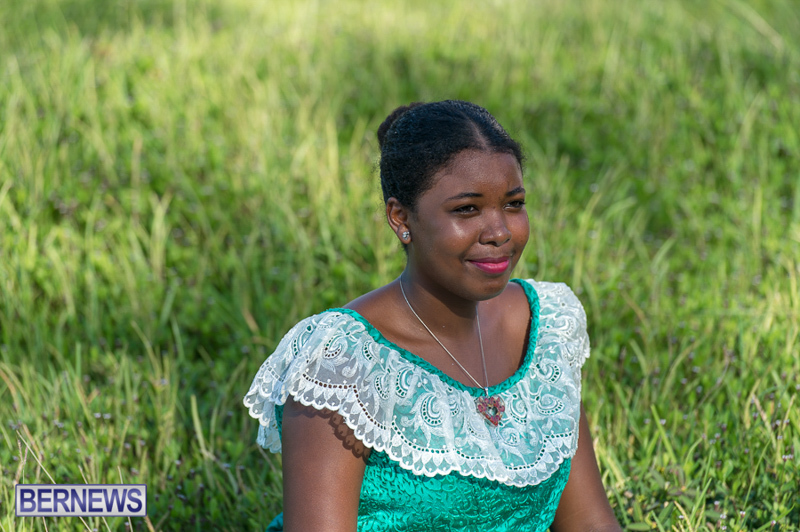 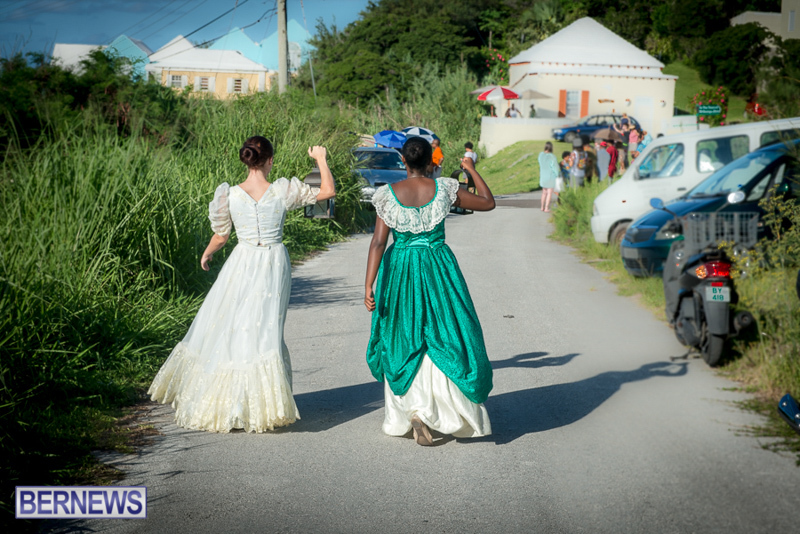 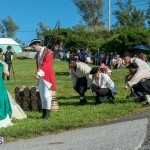 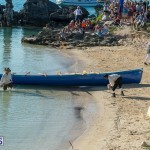 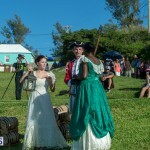 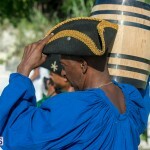 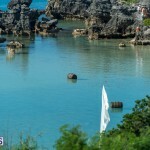 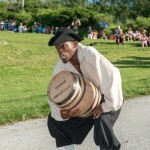 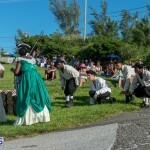 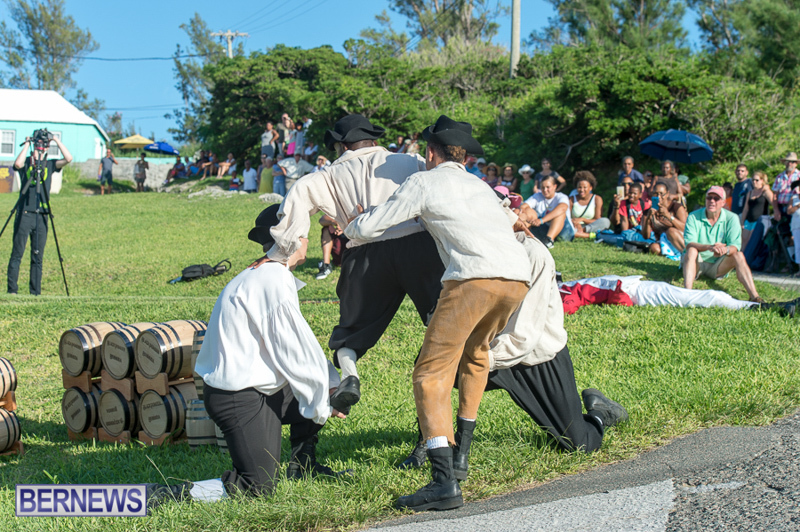 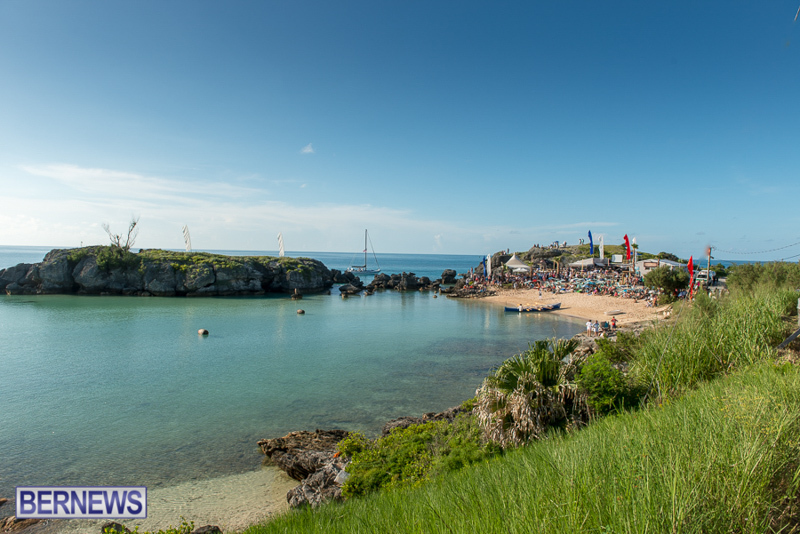 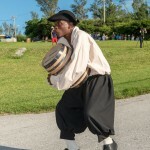 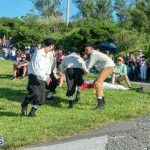 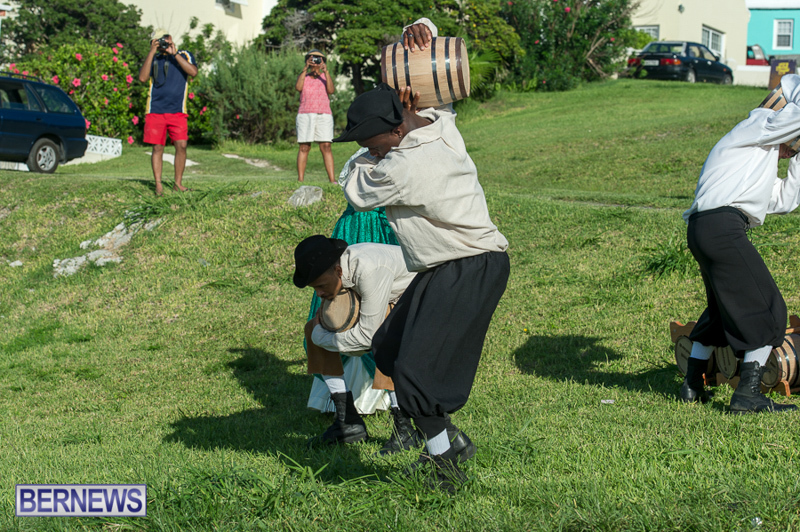 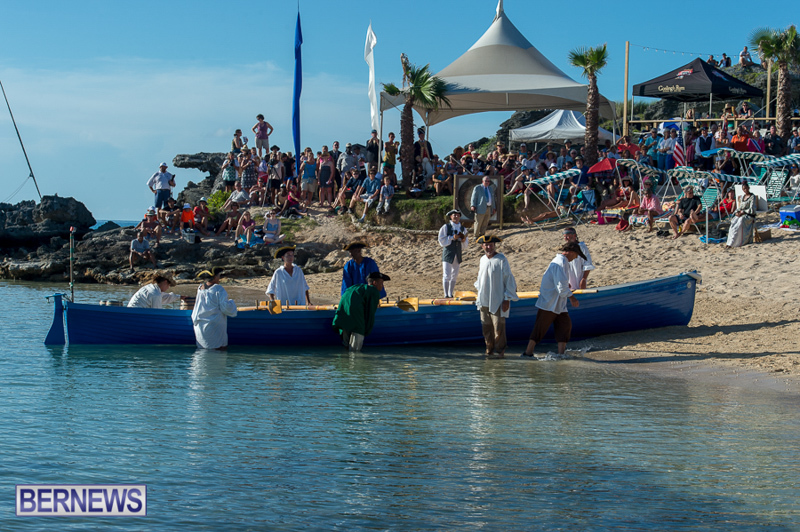 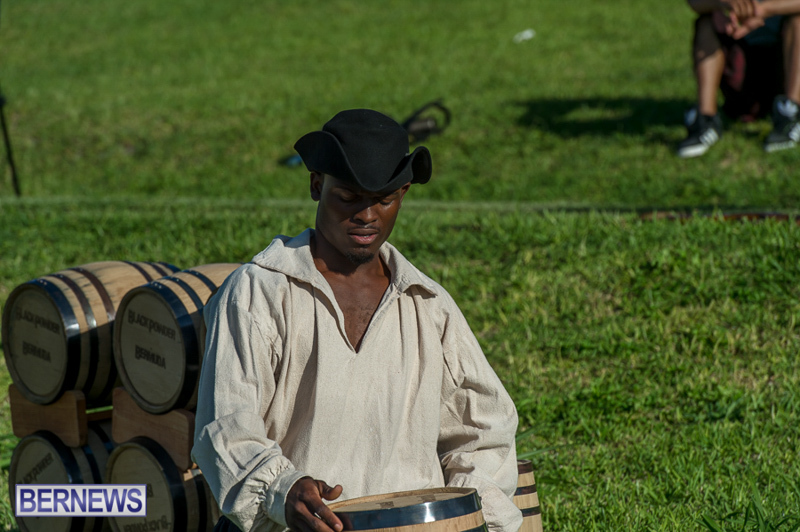 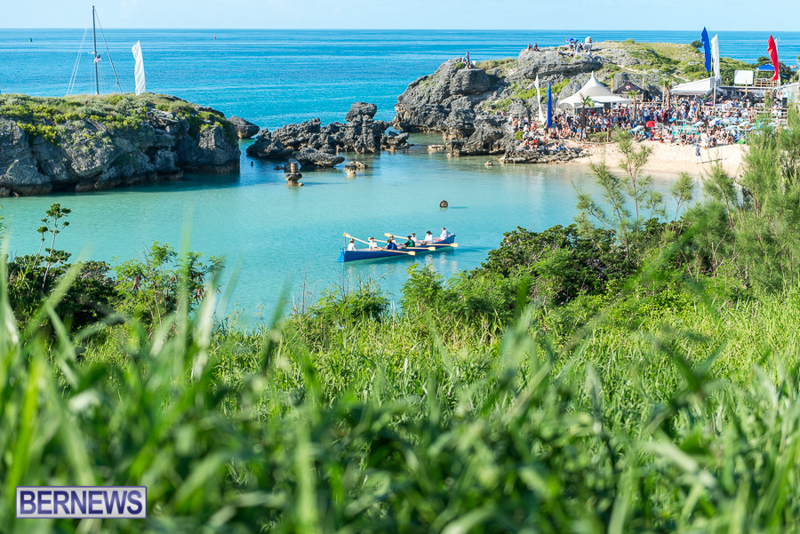 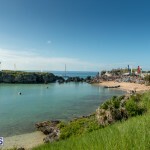 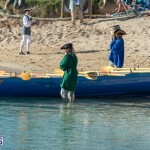 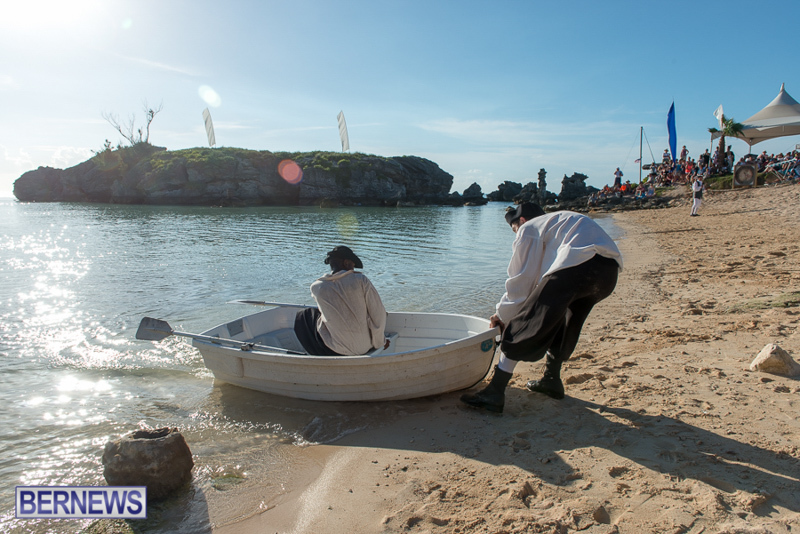 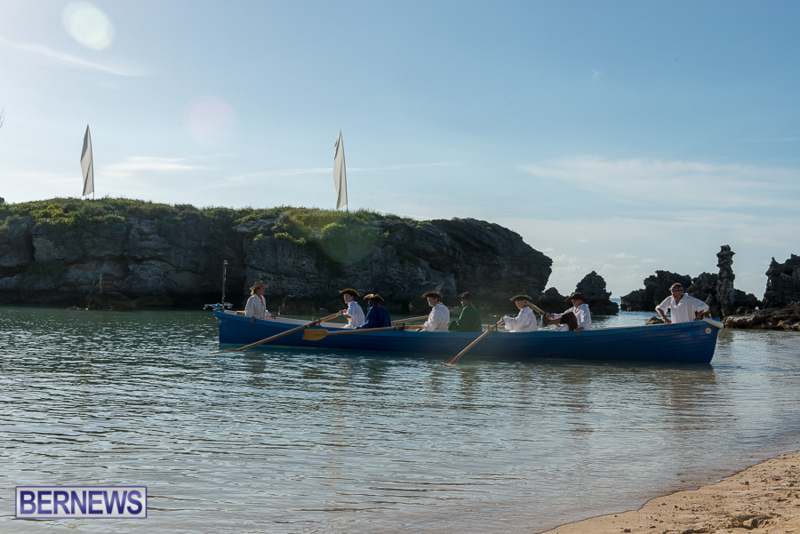 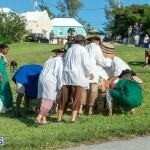 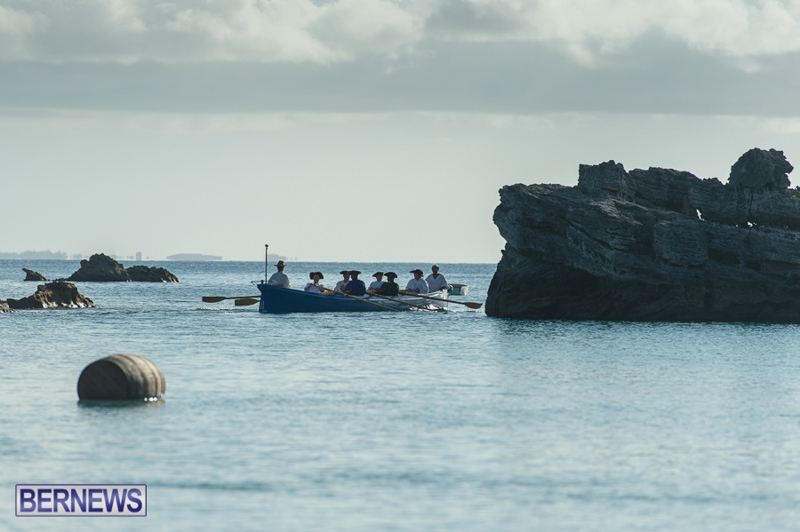 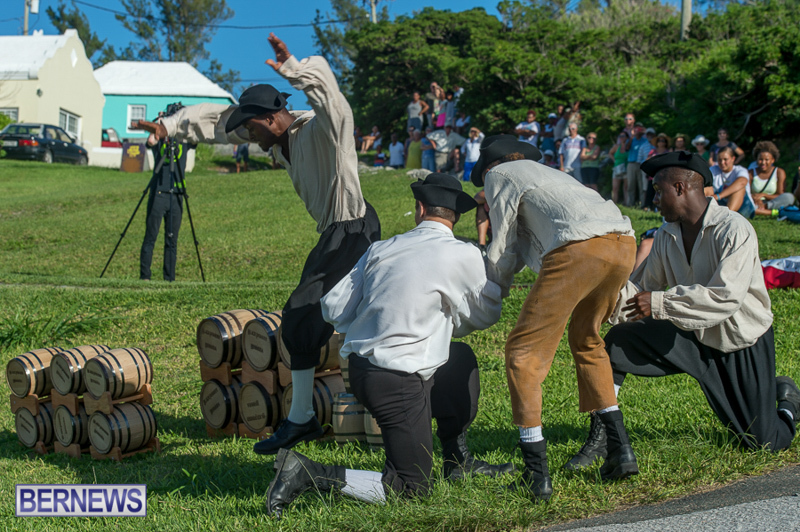 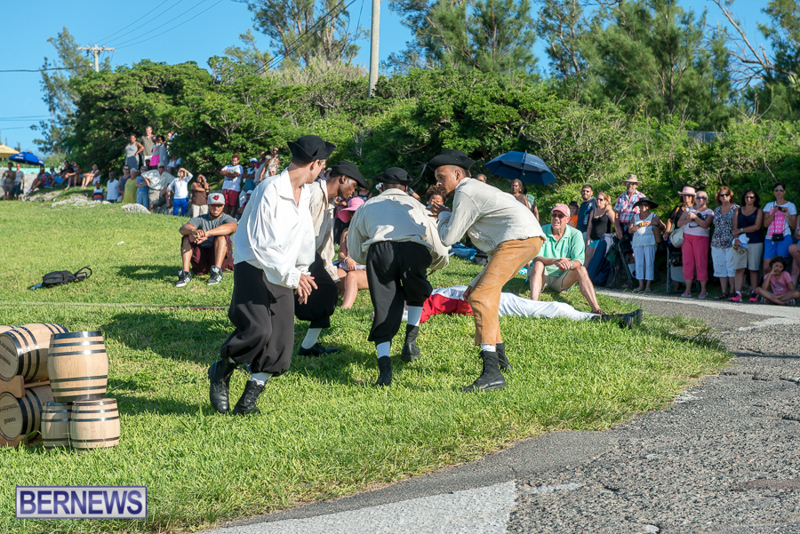 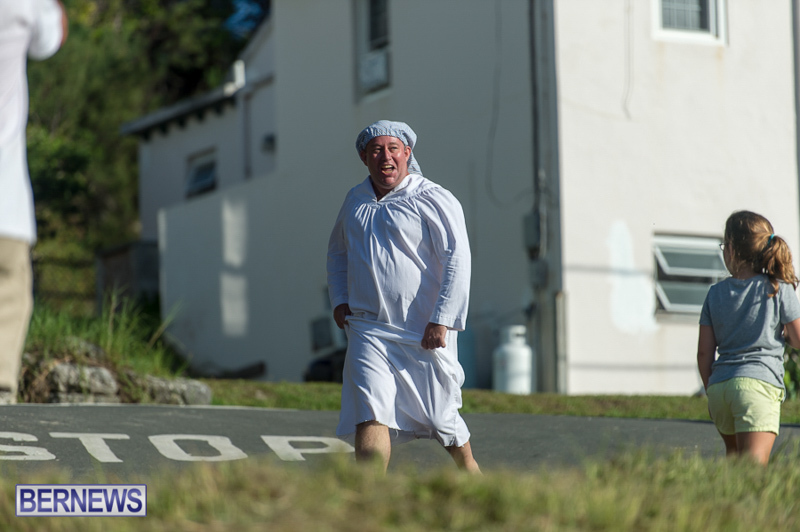 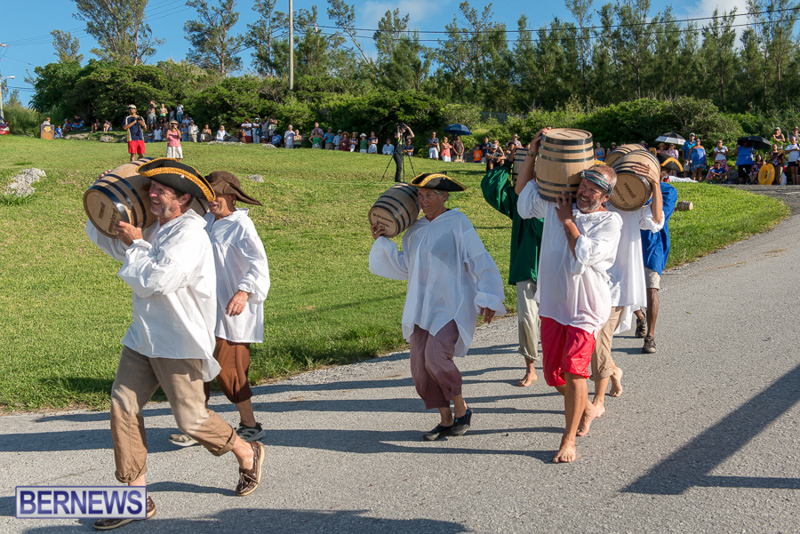 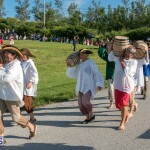 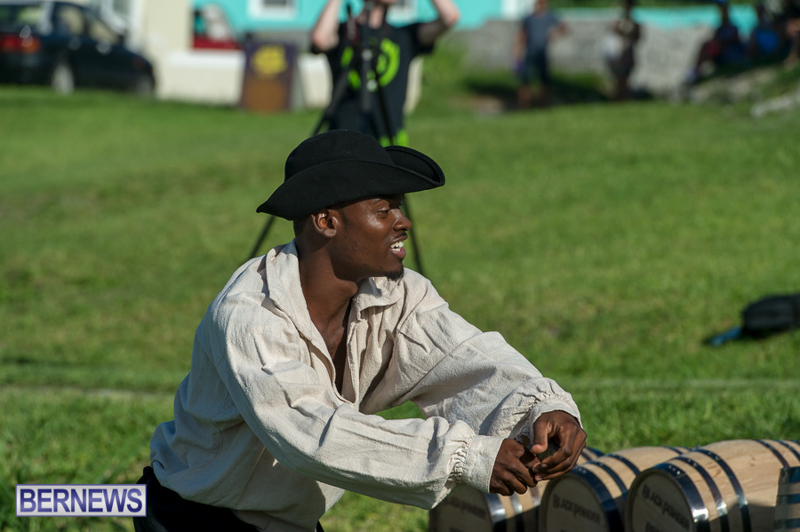 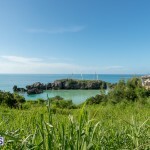 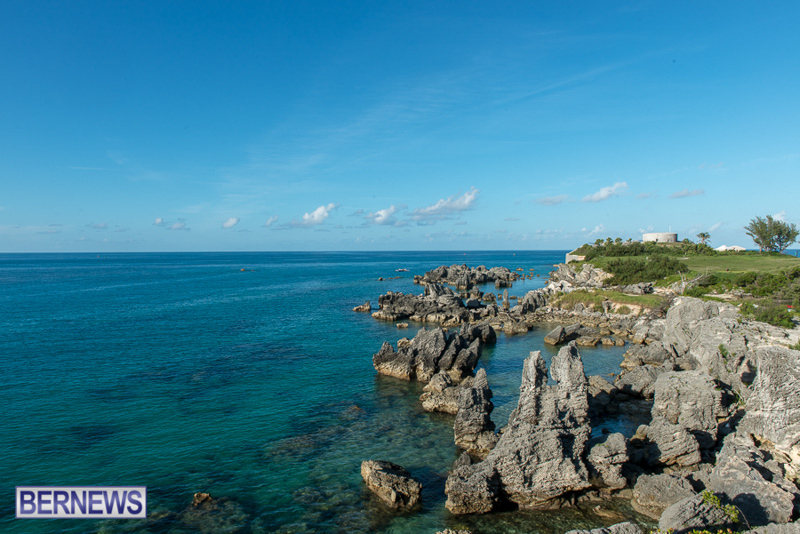 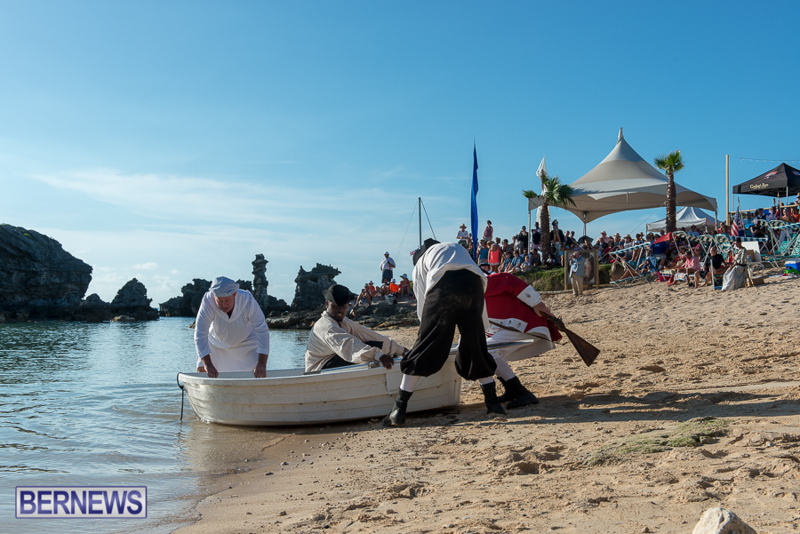 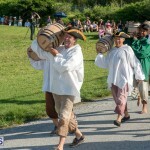 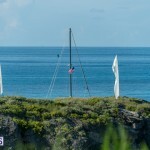 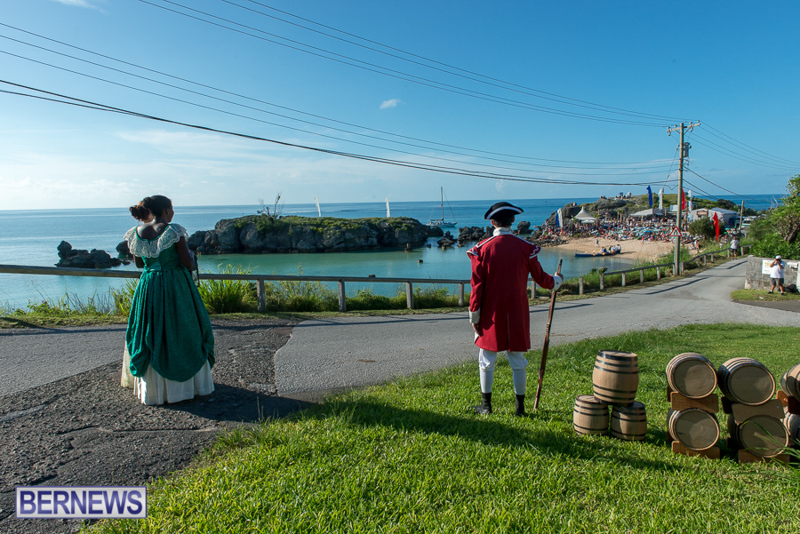 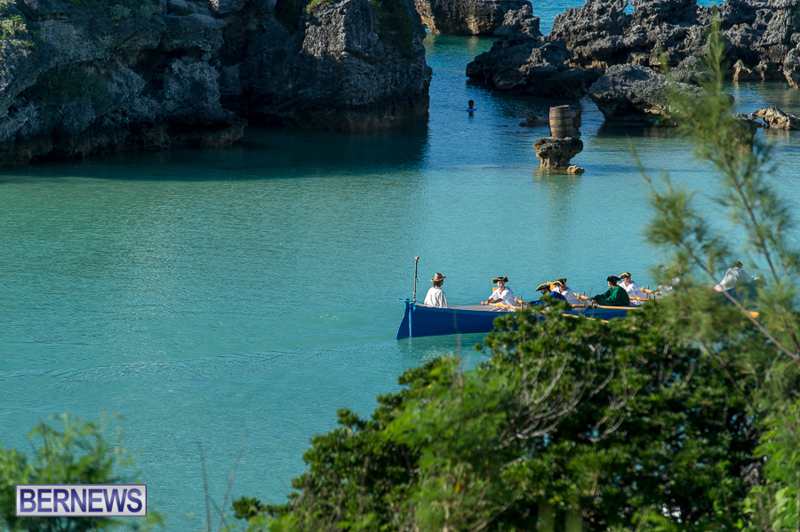 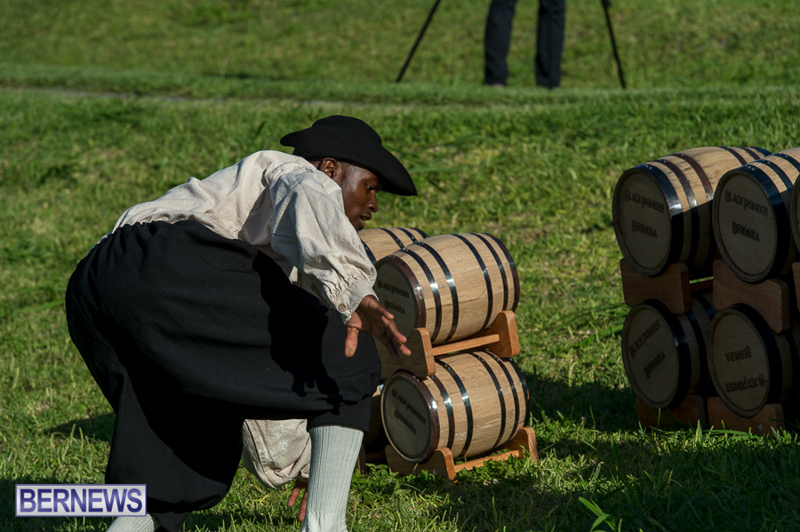 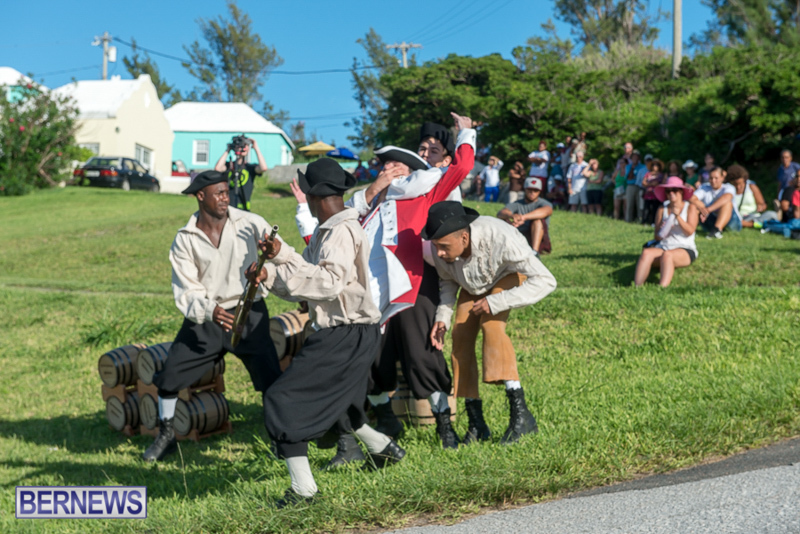 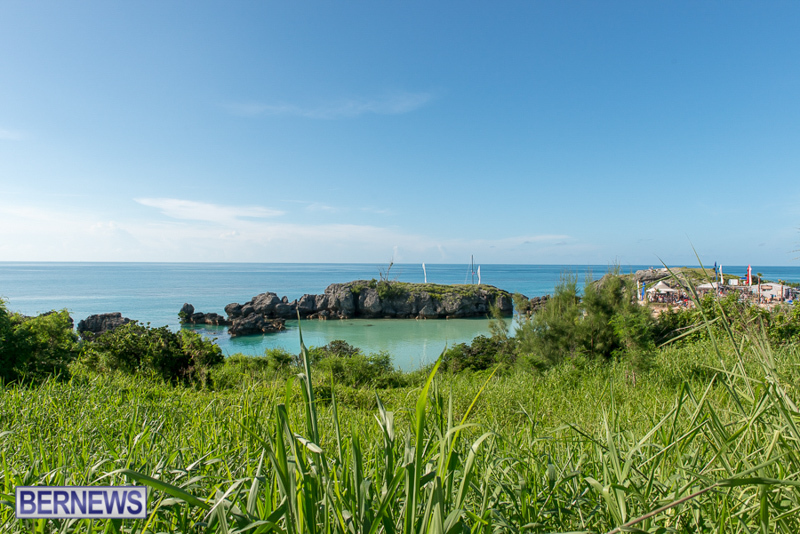 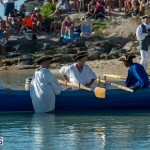 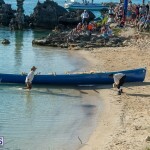 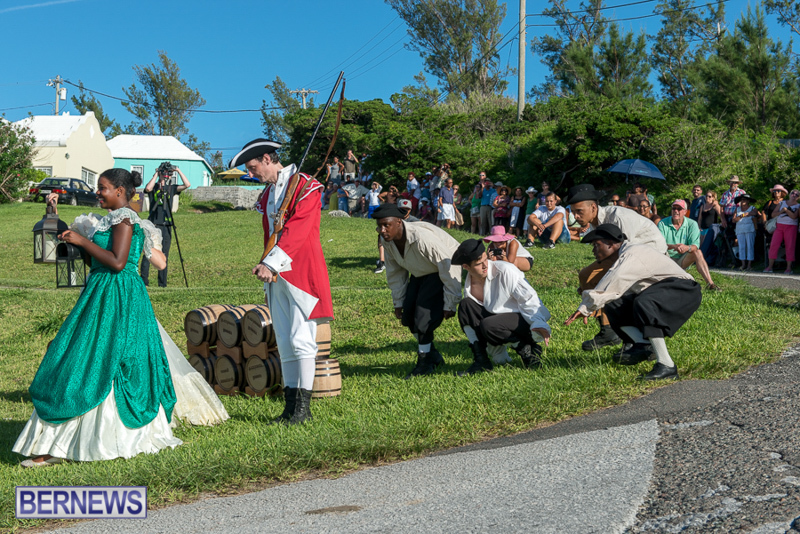 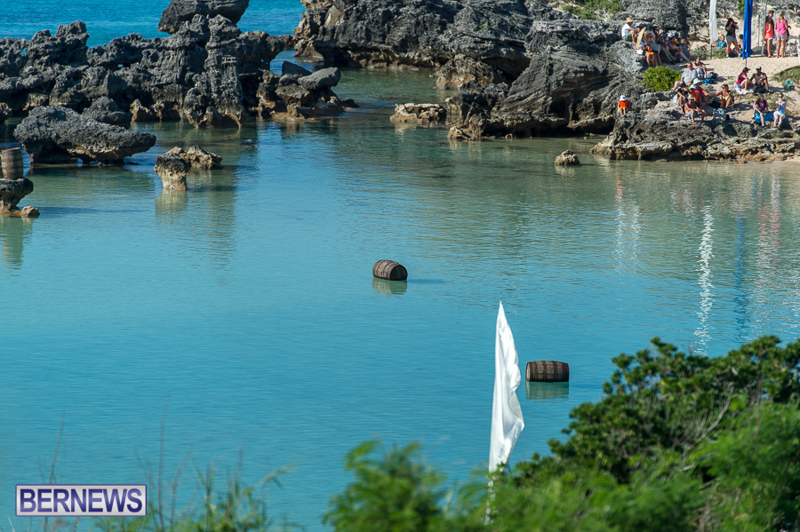 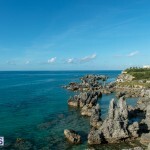 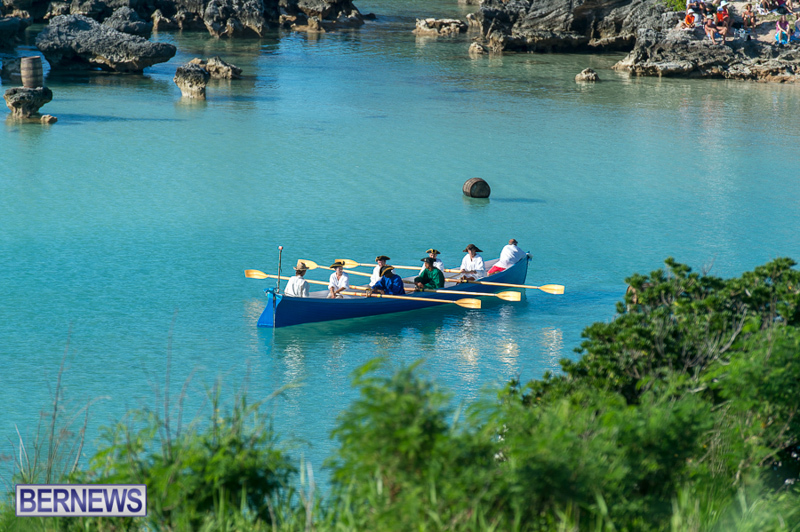 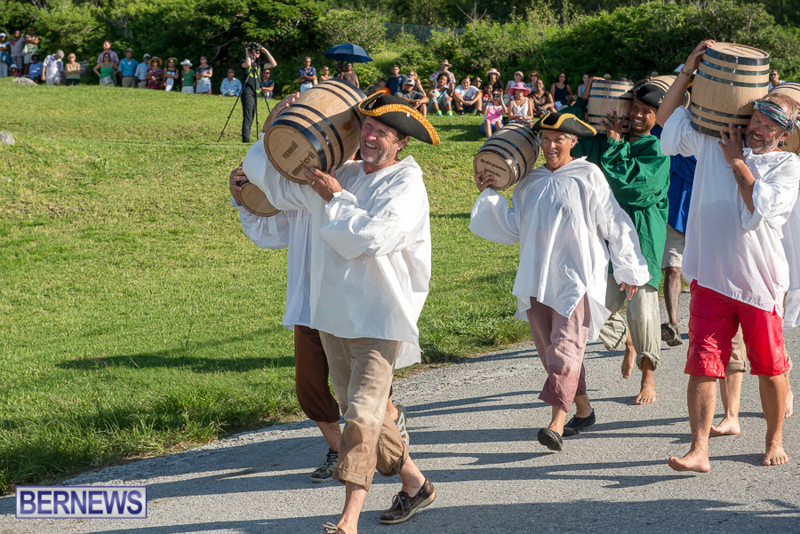 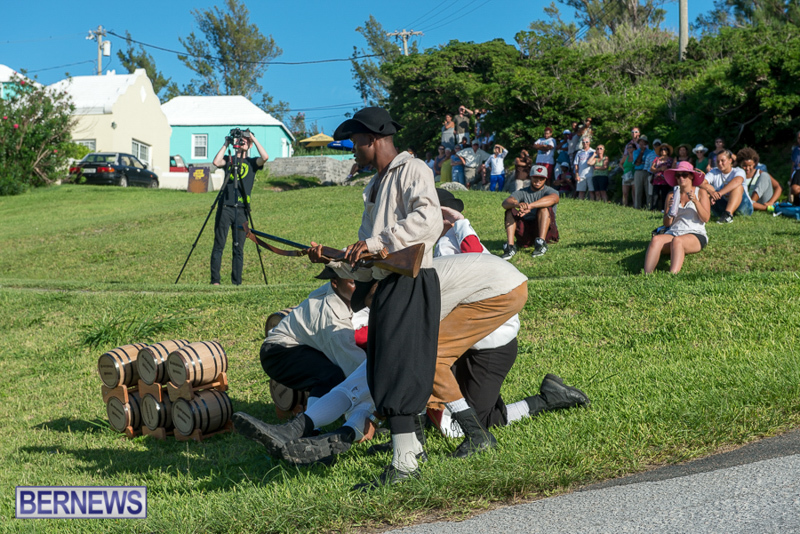 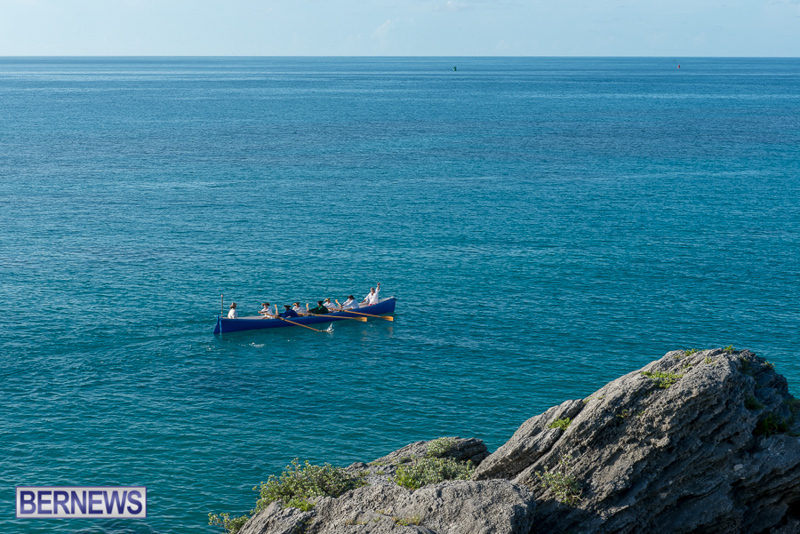 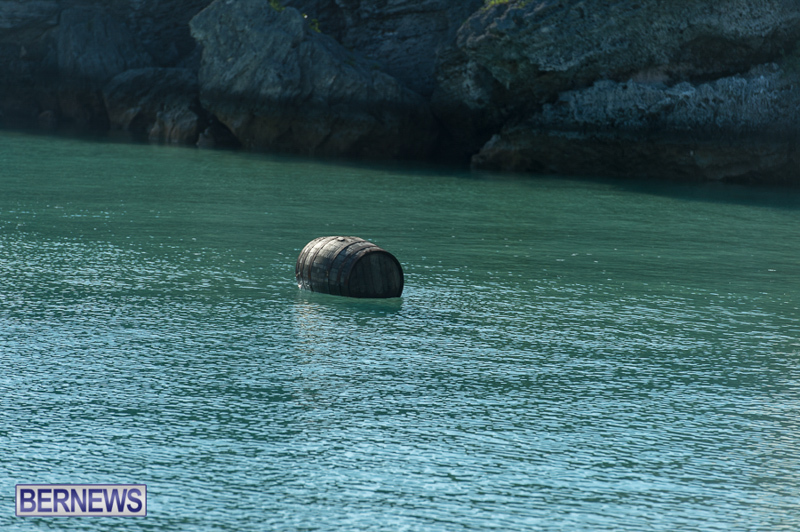 At about 6.00pm on Saturday [Aug 15] crowds gathered to watch the re-enactment of the rolling of the barrels of gunpowder down the hill toward Tobacco Bay Beach and the dedication of an interpretive sign regarding the Bermuda Gunpowder Plot at Tobacco Bay. 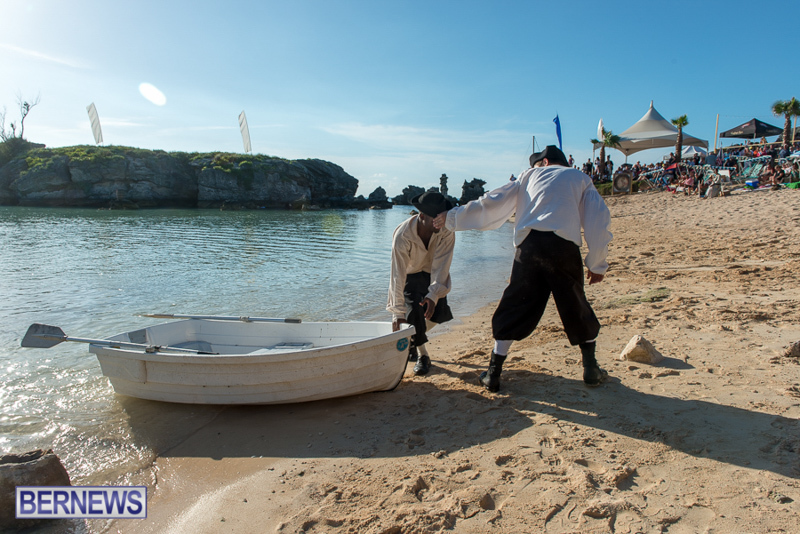 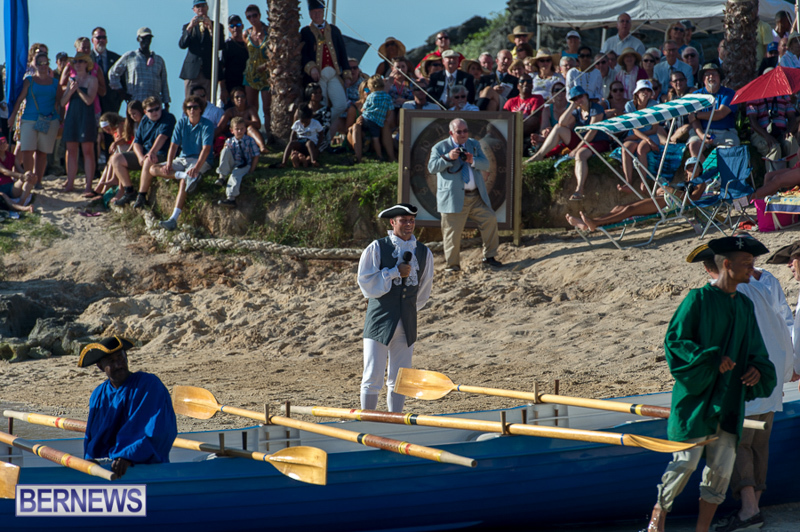 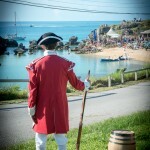 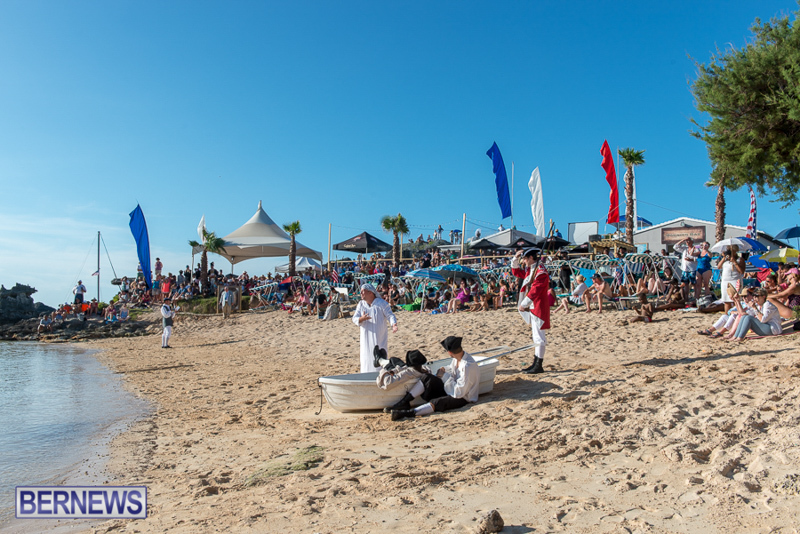 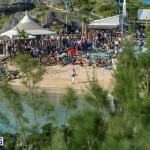 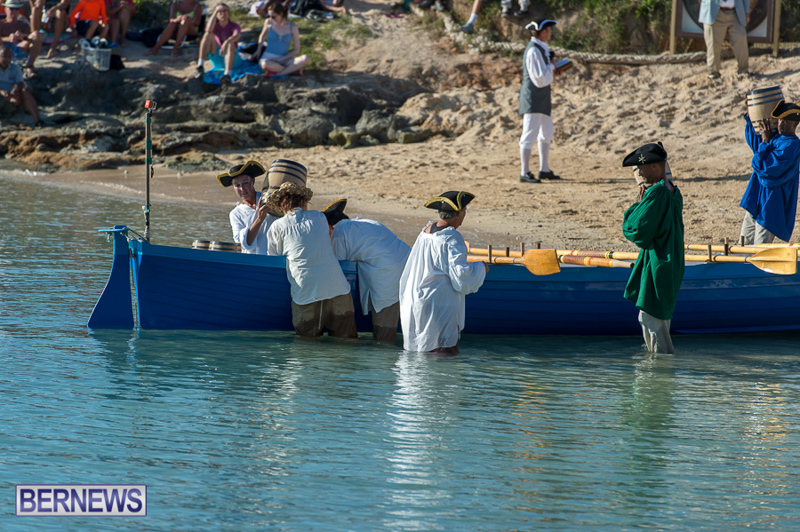 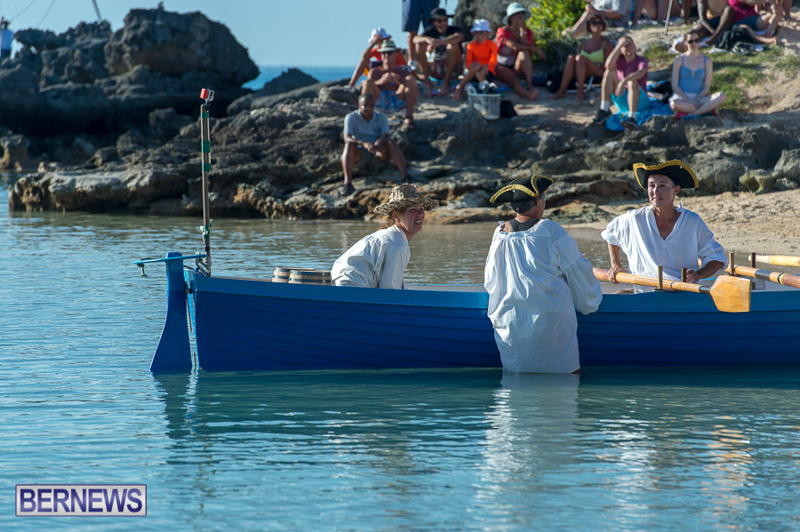 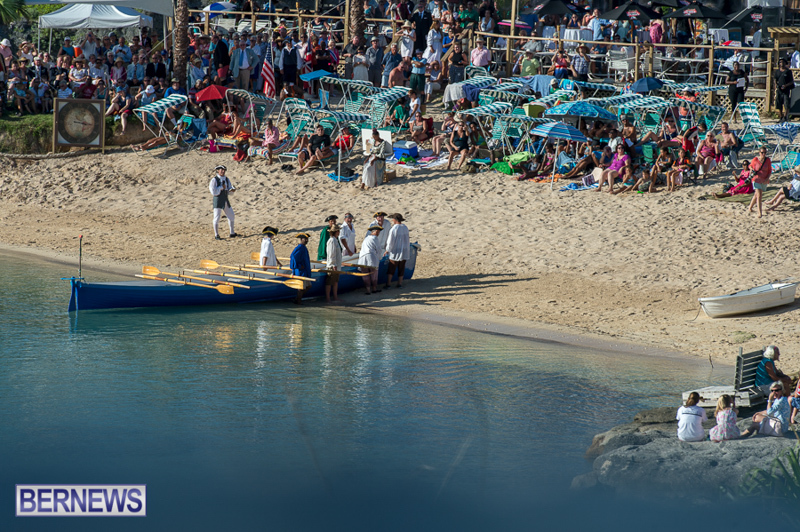 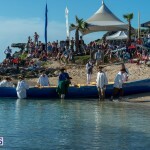 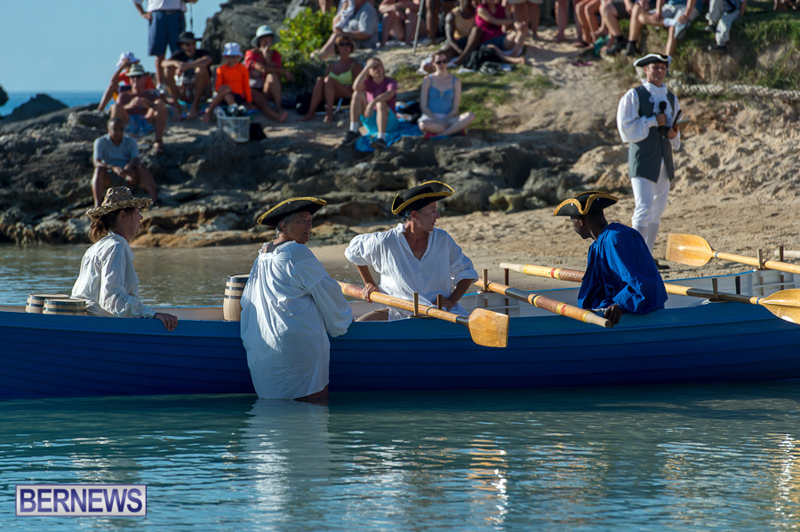 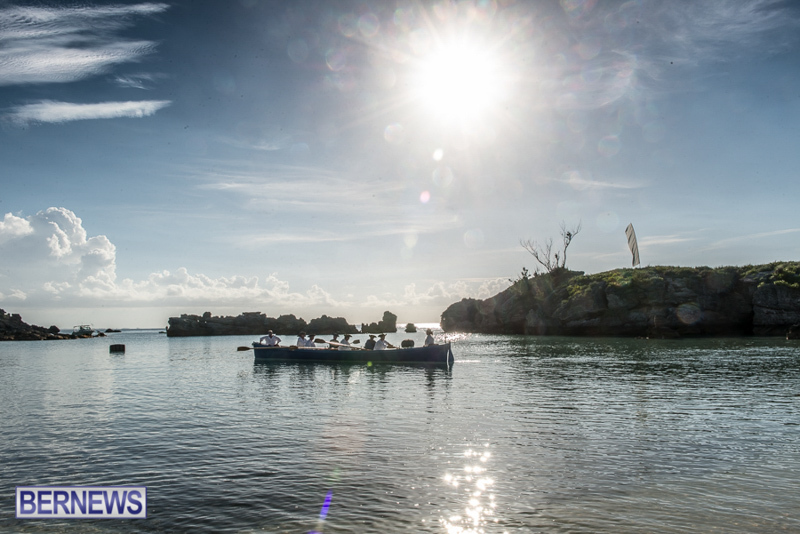 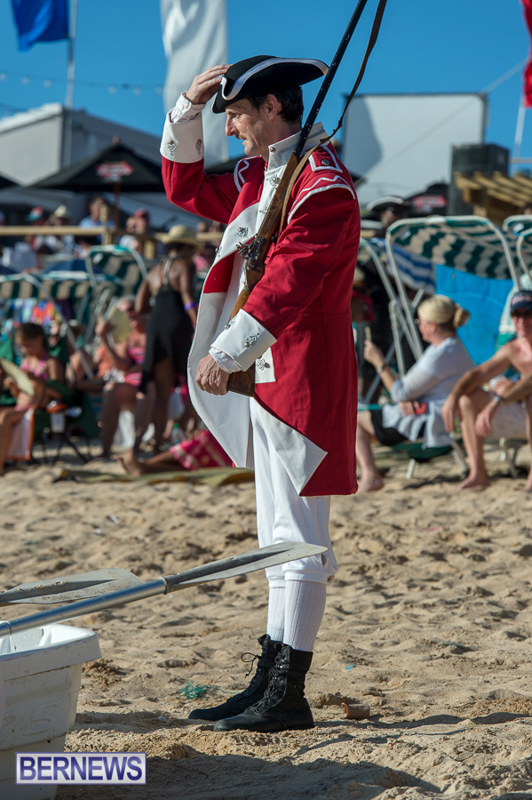 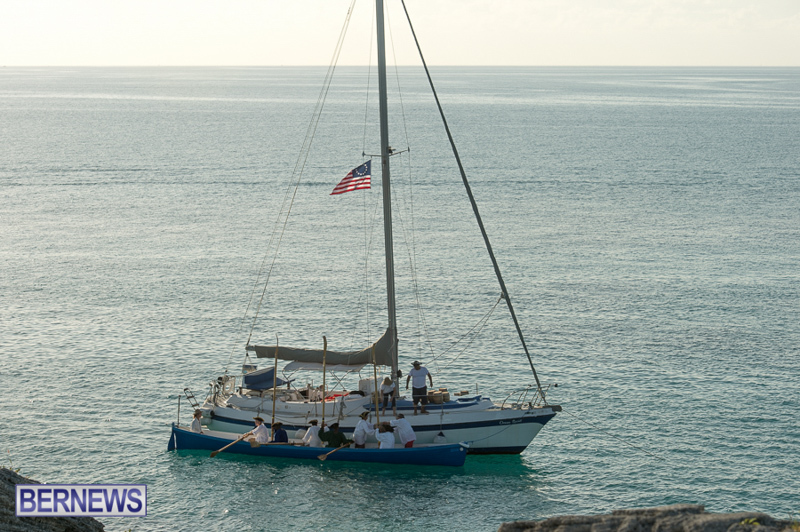 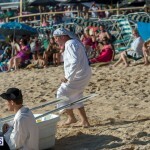 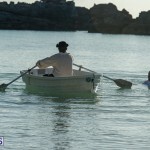 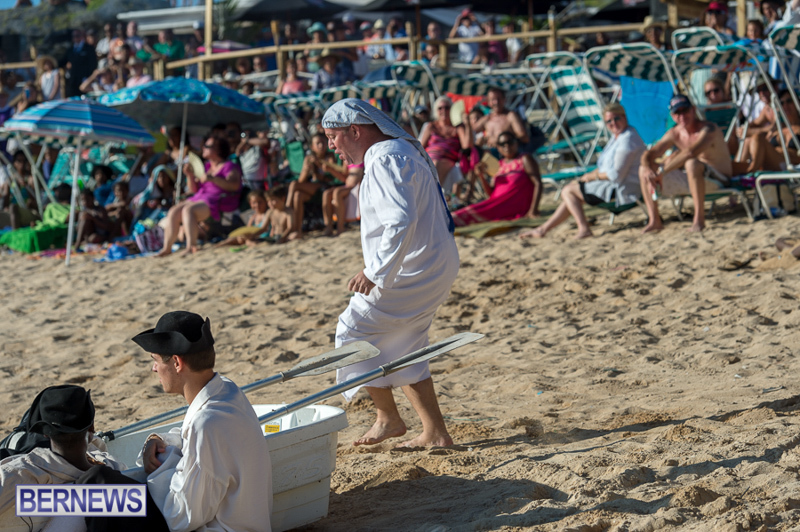 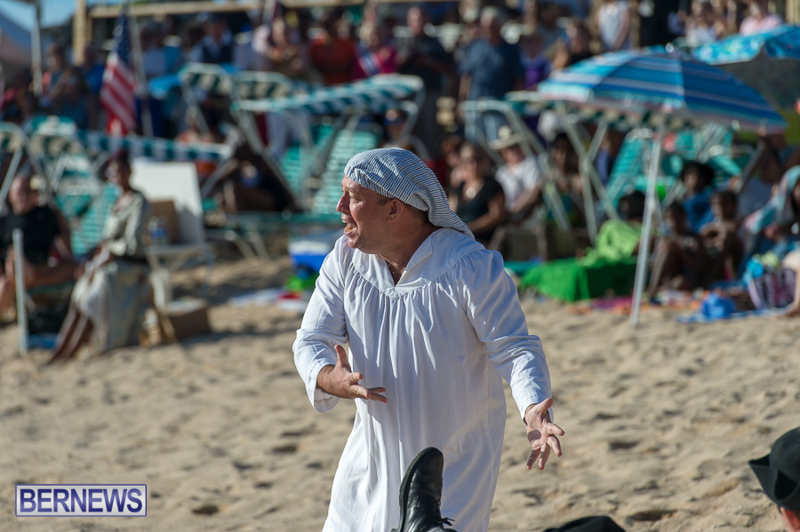 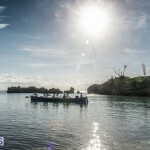 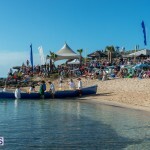 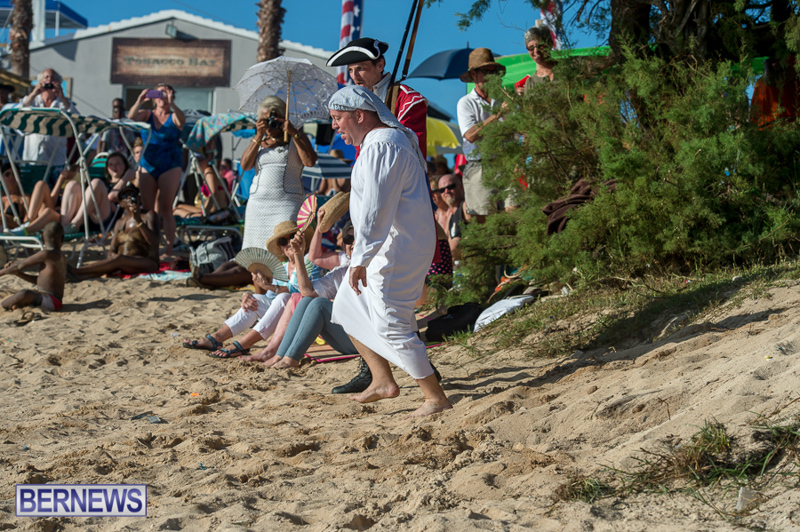 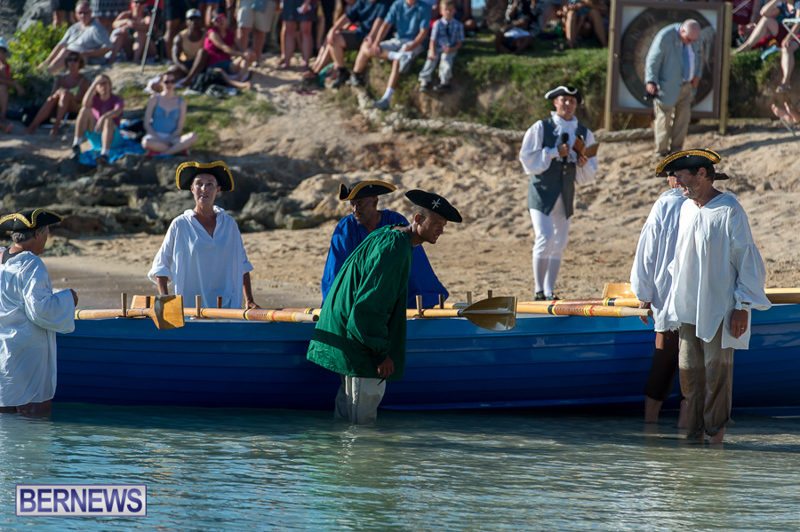 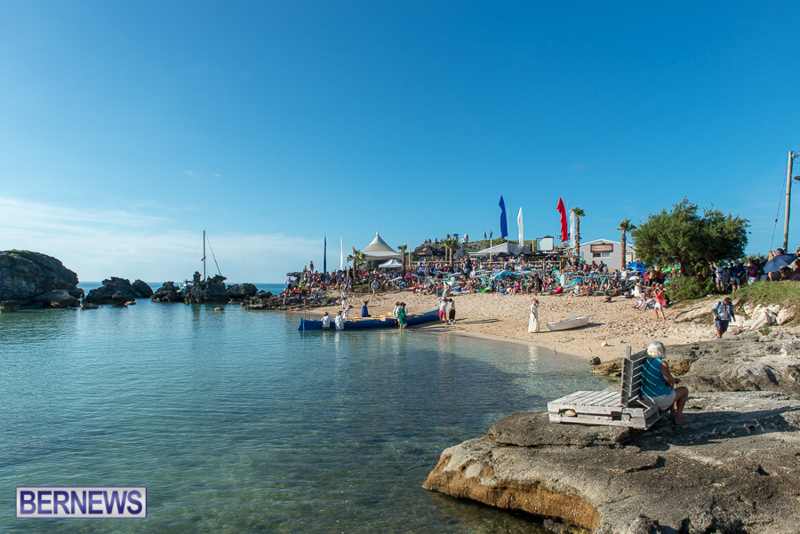 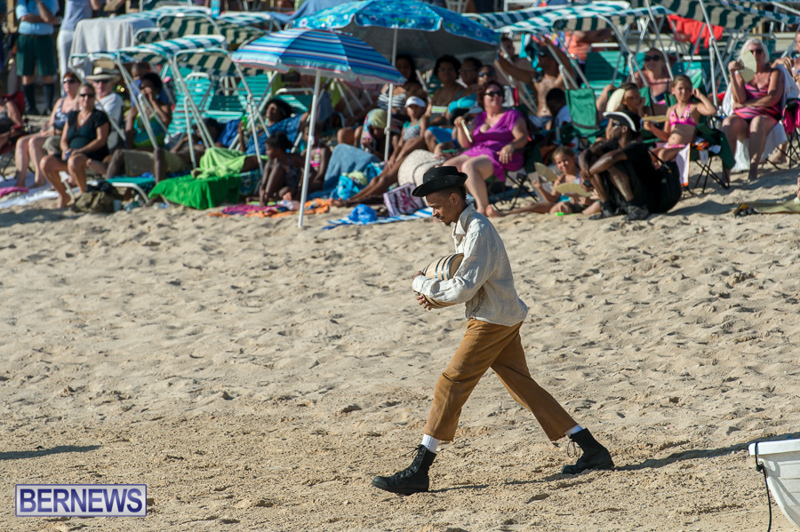 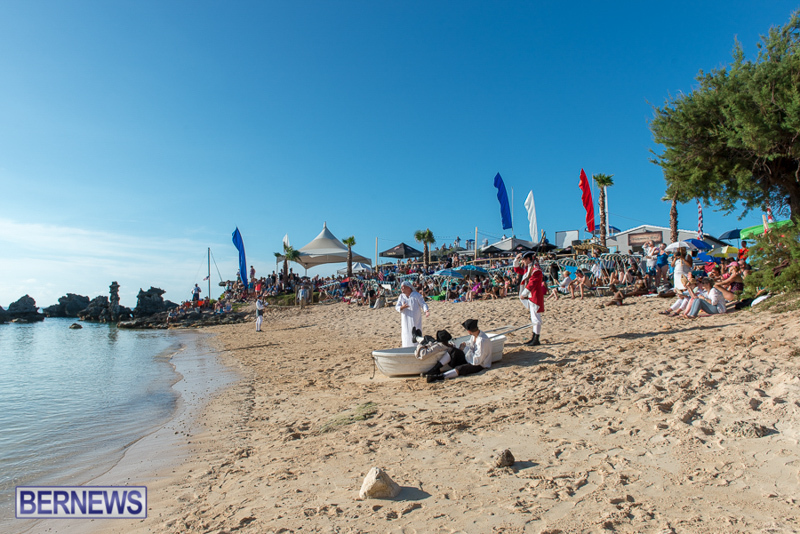 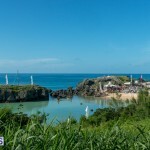 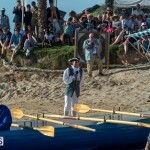 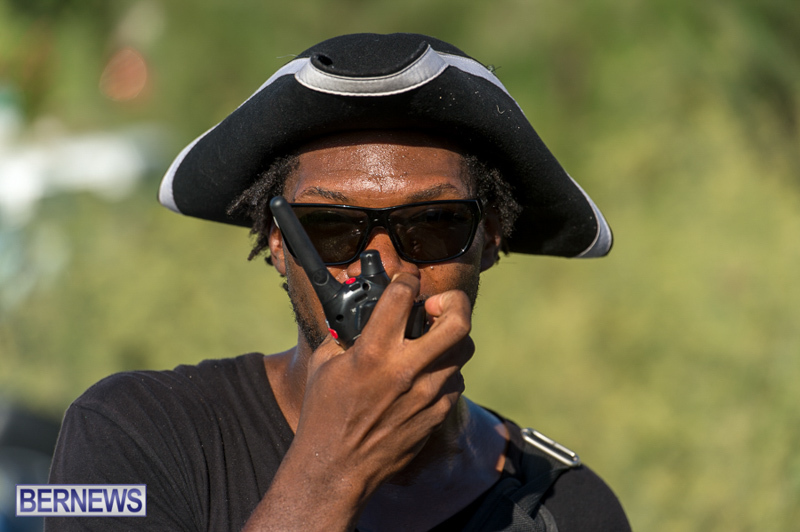 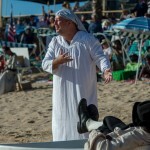 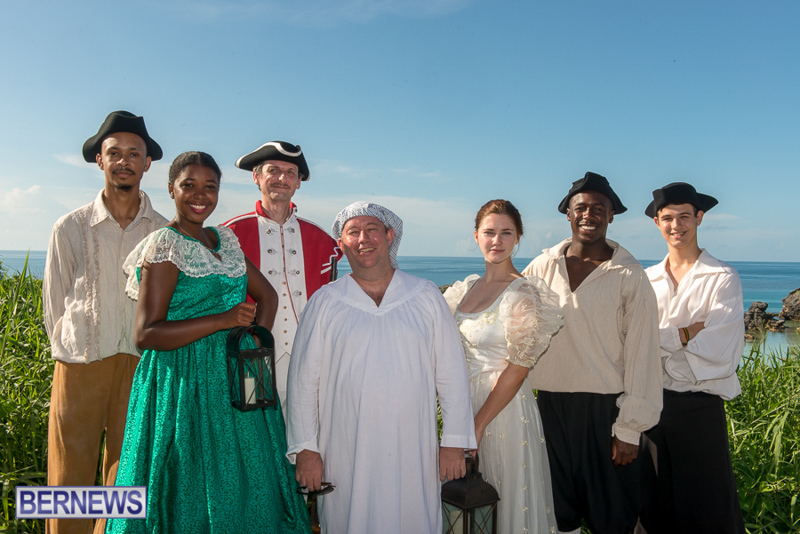 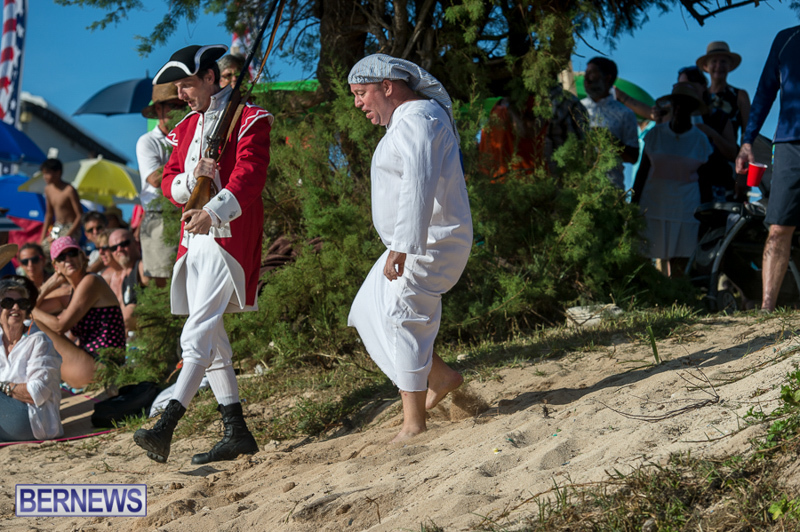 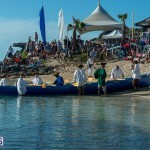 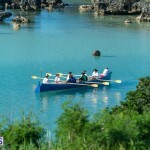 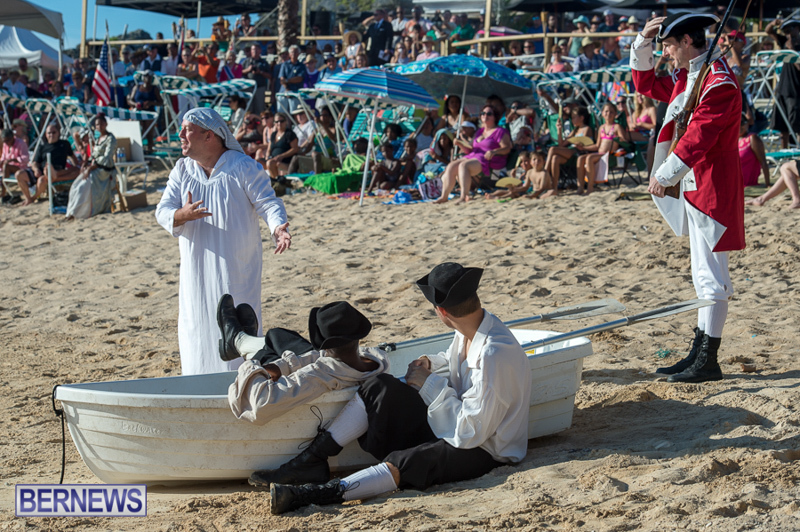 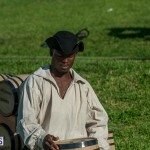 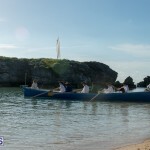 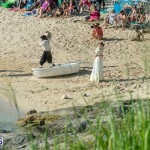 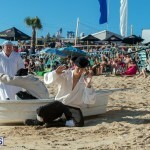 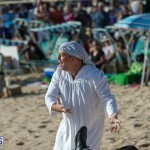 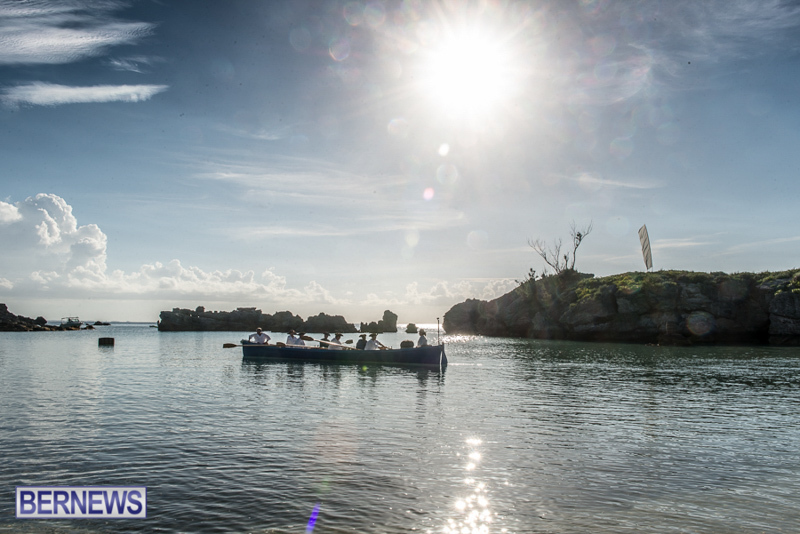 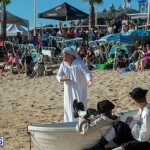 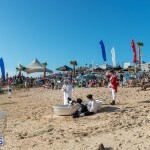 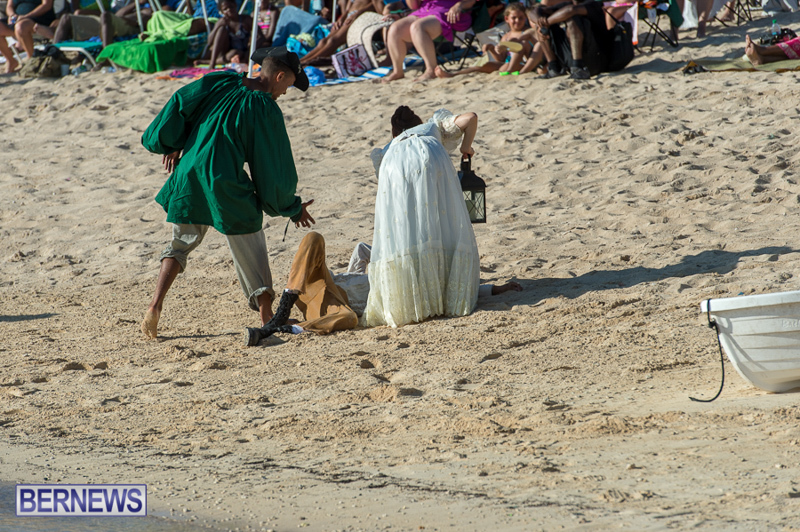 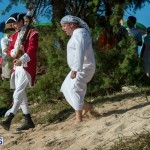 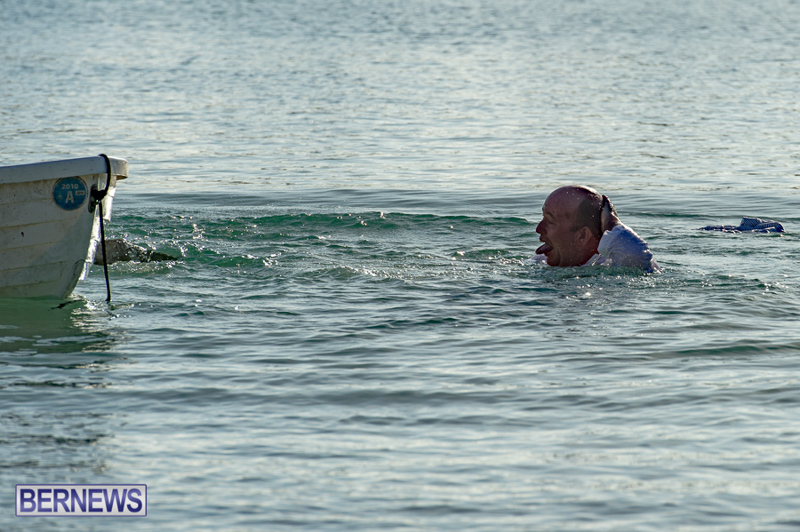 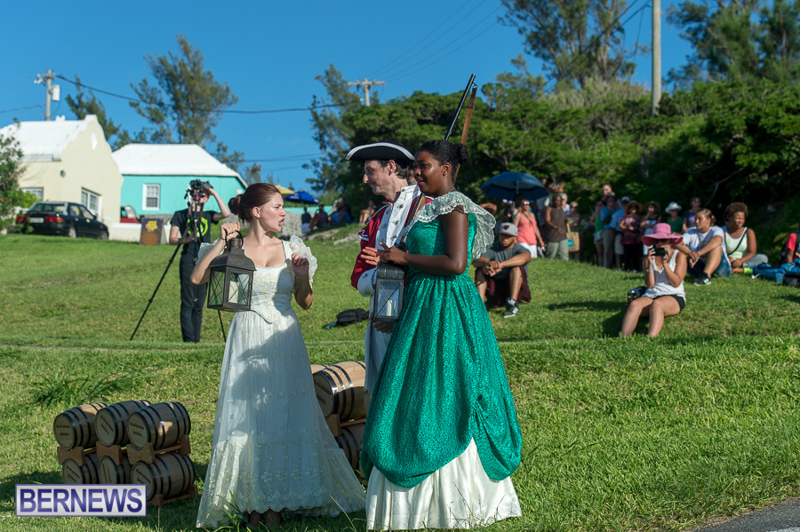 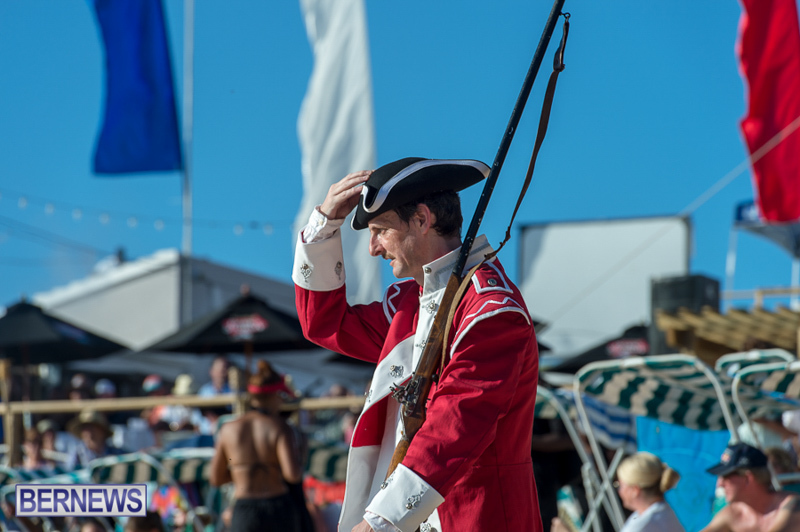 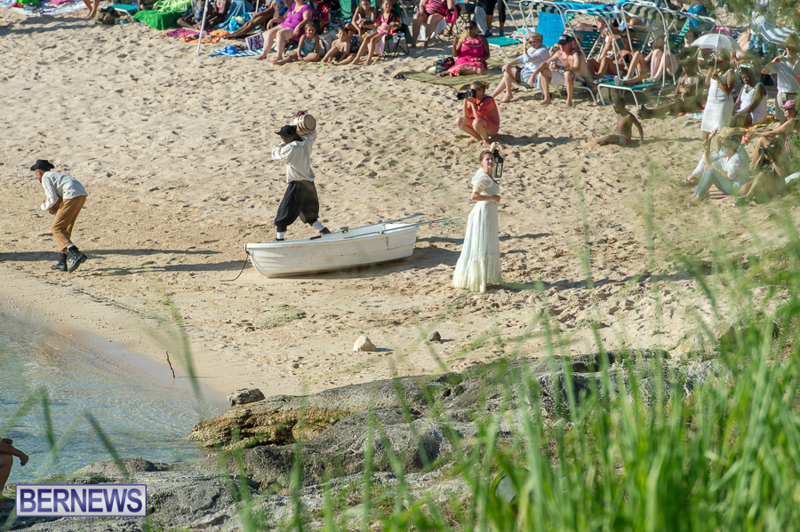 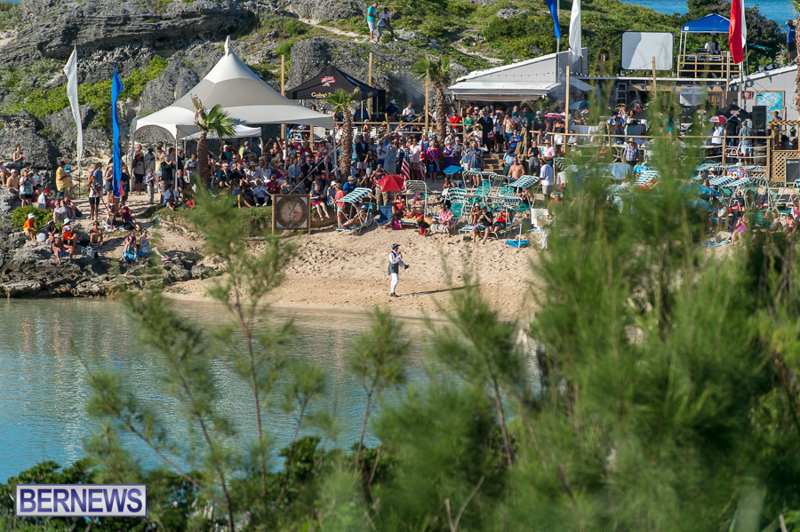 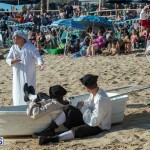 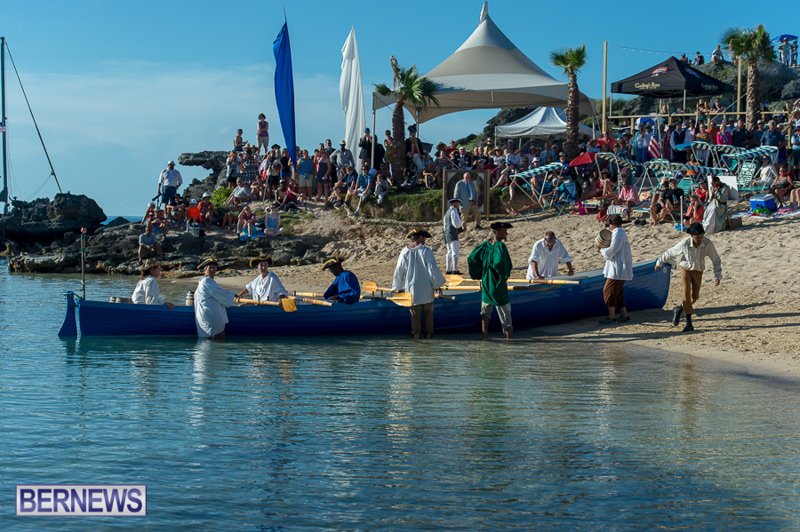 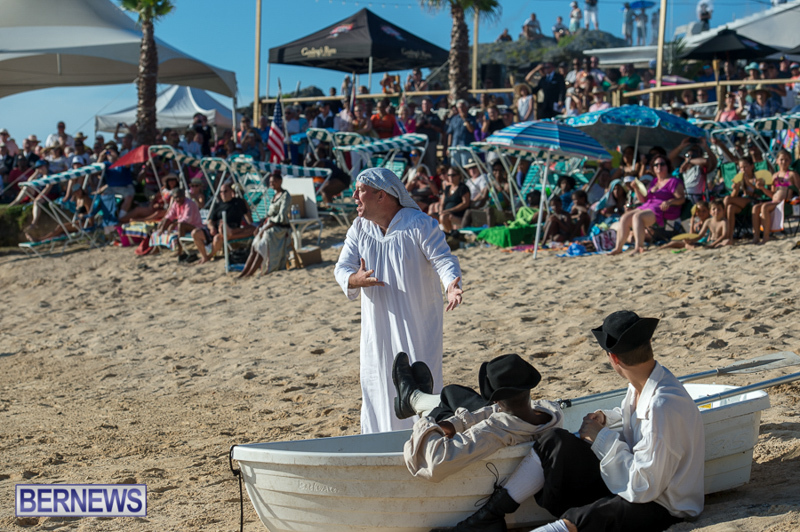 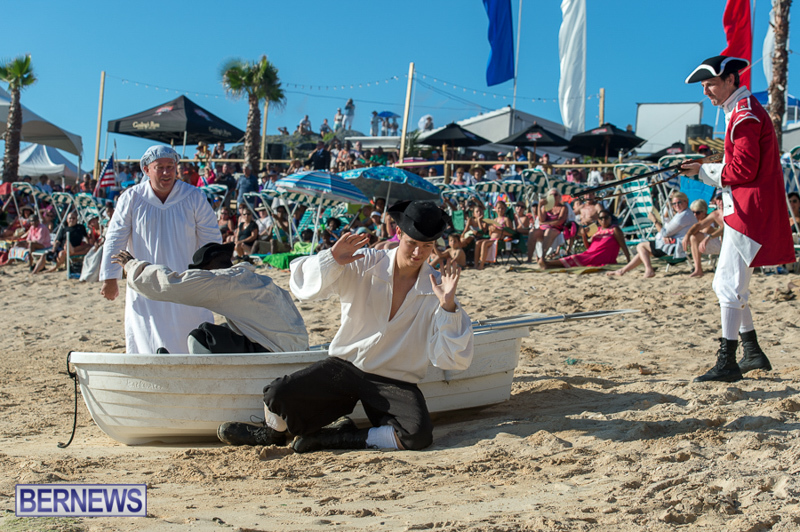 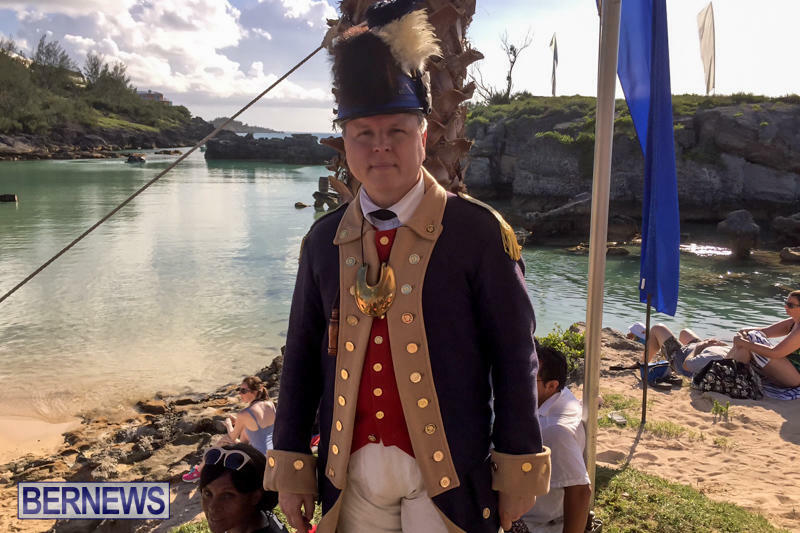 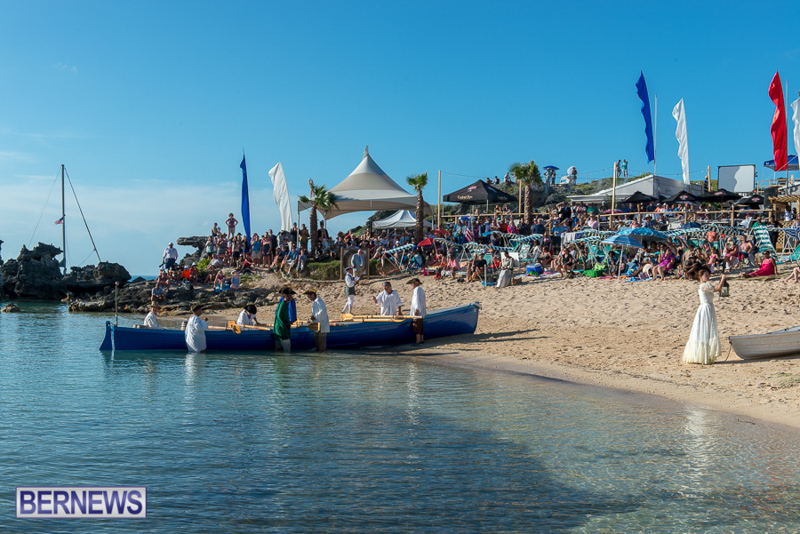 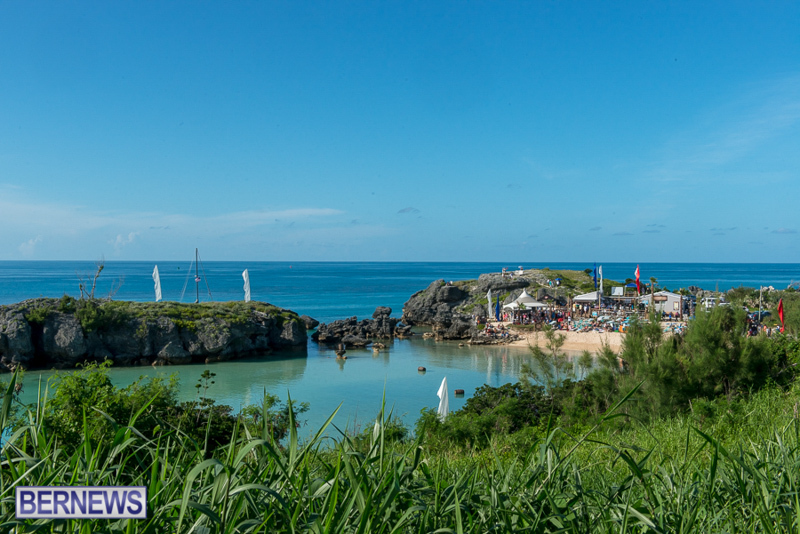 The event wrapped up with a party at the beach for Bermudians and tourists alike with Revolutionary War-themed specials. 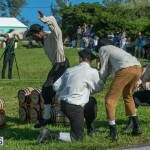 Thomas and St. George Tucker, separately informed leaders of the American cause that the lightly guarded magazine in Bermuda contained about 100 barrels of gunpowder, which was in short supply in the colonies. 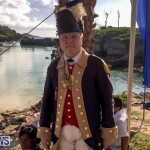 With that intelligence, Benjamin Franklin and others in Philadelphia were able to convince a few Bermudians to “appropriate” the gunpowder and have it loaded on American ships waiting off of Tobacco Bay. 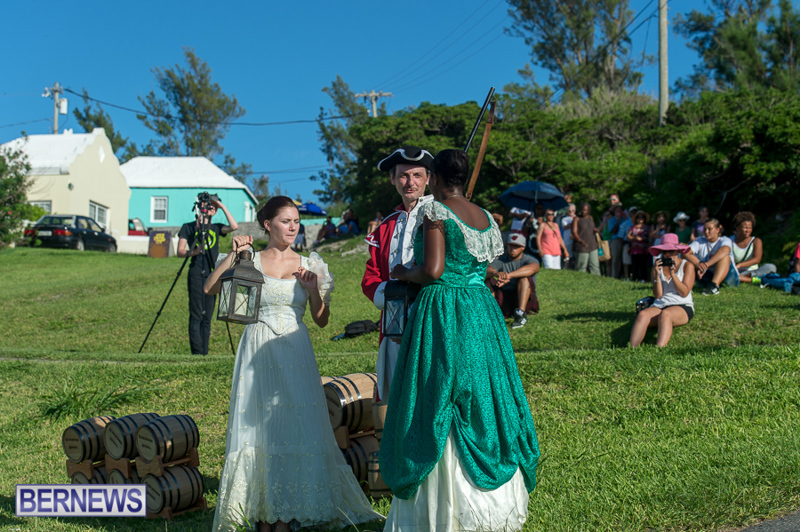 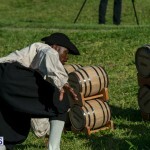 In exchange, the Bermudians received a partial exemption from the Continental Congress’s trade embargo, which would allow Bermuda to continue receiving the American farm products on which islanders depended. 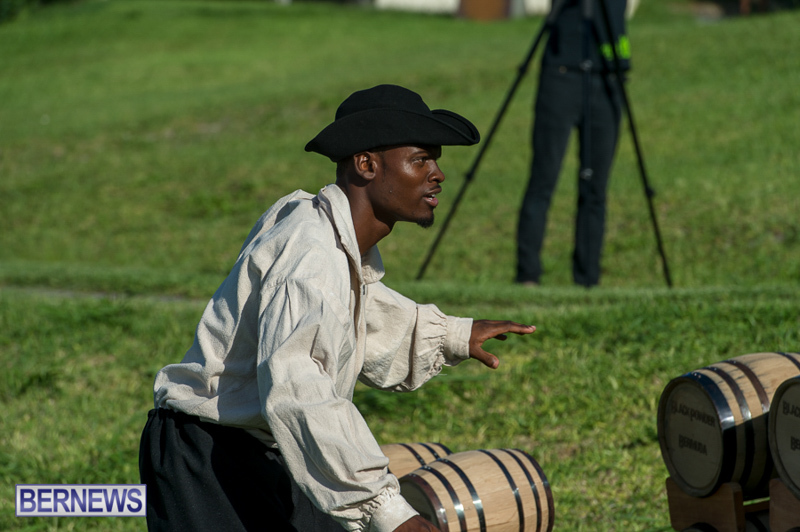 The visiting delegation of more than 50 people includes members from Alabama, California, Georgia, Maryland, New Hampshire, North Carolina, Pennsylvania, South Carolina, Texas and Virginia. 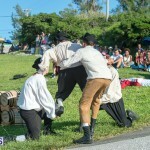 A re-enactment of justified theft. 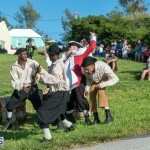 @onion juice___I agree this is utter nonsense to me personally , .. we worry about turtles yet the highest percentage of people in bermuda are “of colour” and yet we haven’t a clue as to this nonscence and why should it be celebrated, after all it was a theft, part of many covetious theft, of people, lands silver and gold, that is played out in a narrative not understood by the victims involved who are convinced to actually celebrate their demise… certainly is priceless, no mention of the KINg and why they wanted tio blow up parliament, not one person i have spoken to can answer truthfully about the gunpowder plot and to me this is highly suspect since money is being given to charity.. 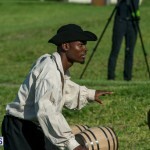 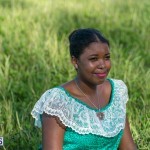 I do not appreciate being treated like a charity when my ancestors were slaves and the slavemaster received twenty million pounds!!!!!!!!!!!!!!!!!!!!!!!!!! 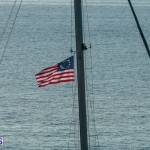 !because of the so called freedom of slaves. 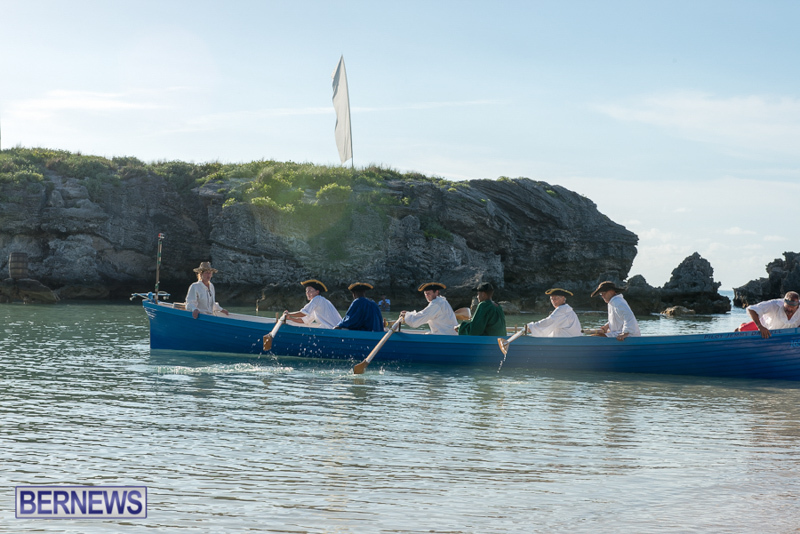 this is ridiculous and for sure DIVINE intervention is needed to correct soooMANY wrongs against a people who deserve to know the truth about their history and SUBJUGATION on twenty two square miles!!!!!!!!!!!!!!!!!!!!!!!!!!!!!!!!!!!!!!! 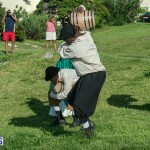 !NO ONE WILL escape judgement for these and other acts against the children of the Most High!! 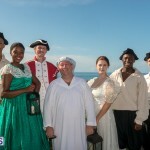 thou shalt not steal includes stealing people, lands, names, rights and coveting other peoples land, their lifestyle and their heritage will never be forgiven!NO charity also will be acceptable for crimes committed no matter what NT says, the old covenant still stands! 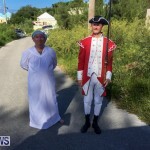 Those that disliked must feel it was right for Rick to be so disrespectful to the Chief Justice of Bermuda and the Mayor of St George? 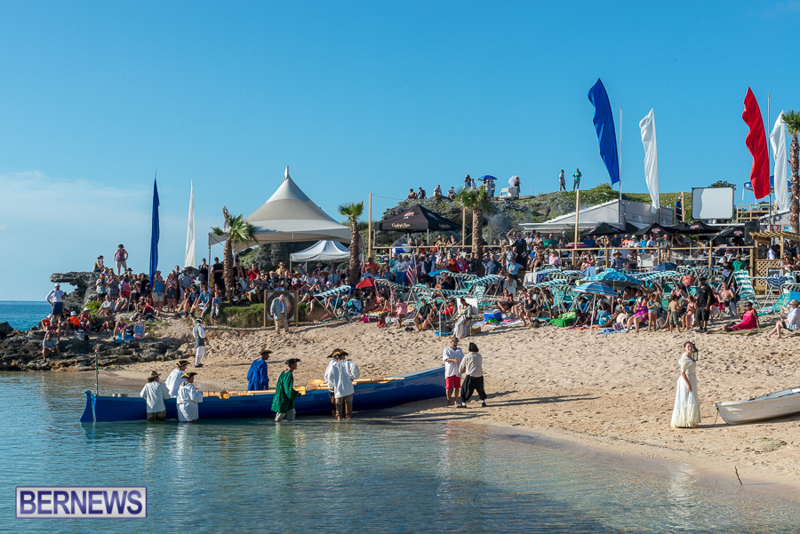 There were a lot of empty seats in the VIP section, but those were in the sun. 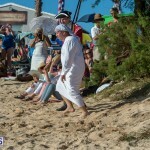 I suspect that the mayor and others had the good sense to stand in the shade rather than sit in the sun. 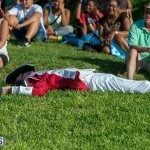 Exactly the disrespect that’s buzzing around town.. 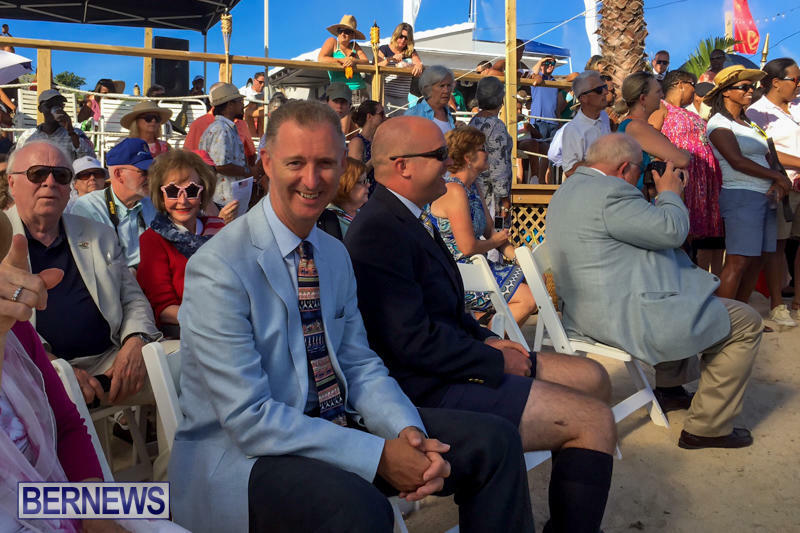 If there were empty seats why didn’t the organizers reserve one for the Mayor and the Chief Justice? 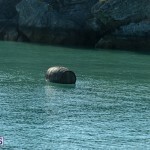 I thought so as well. 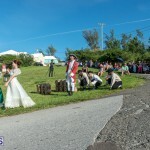 Had former UBP Government Minister seated (with families) and our Mayor standing. 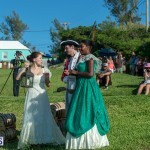 If the Mayor was recognized, the lovely re-enactment of the gunpowder & bad echo mike and the speaker delivering the longest pain speech, covered her recognition. 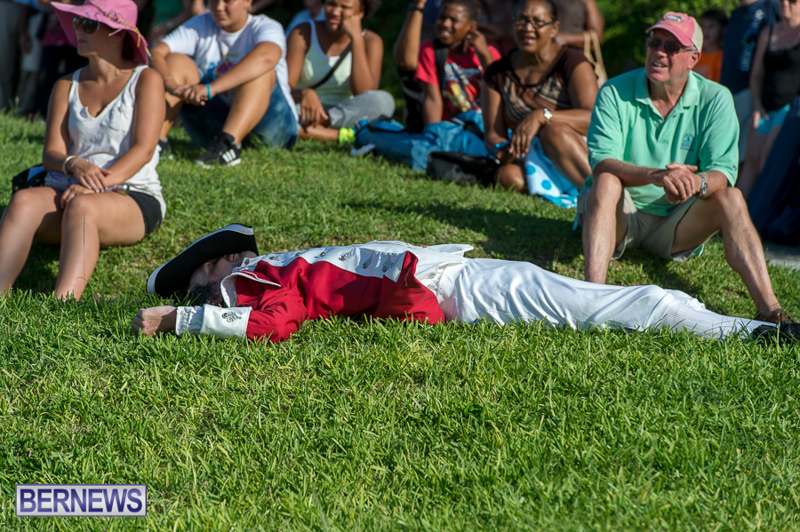 That one speech was way toooo long. 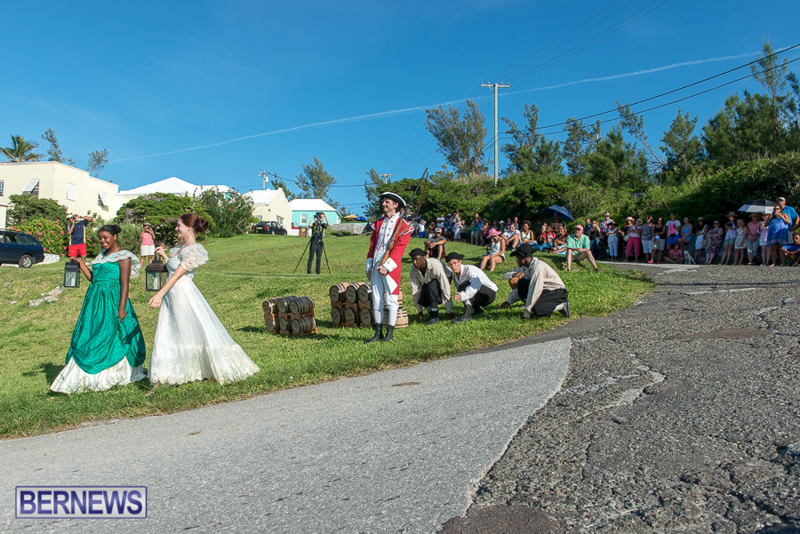 Otherwise, it was very nicely done by the St. George’s team. 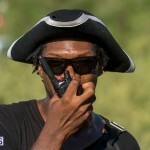 Protocol as not established at this event. 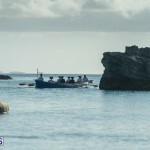 The Chief Justice of Bermuda and the Mayor of St George did not have seat in the “VIP” section. 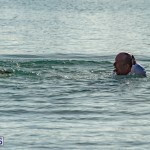 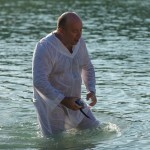 Many witness this and it needs to be pointed out to Mr Spurling as he and his wife were seated. 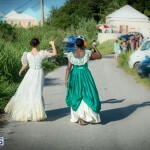 In my opinion, they should of stood and given their seats to the Chief Justice and Mayor. 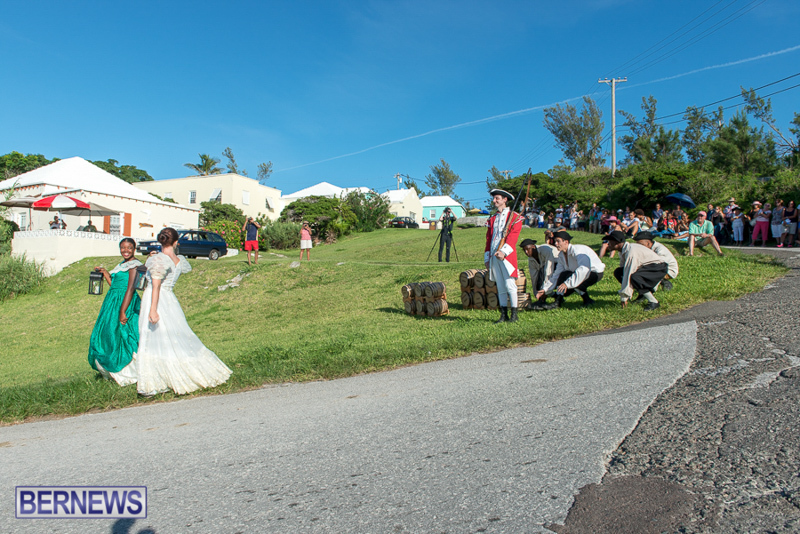 Unacceptable as they know the Bermuda list of Protocol the Mayor when present at a function in St George is our 1st citizen and the Chief Justice is very high on the protocol list. 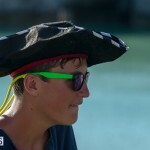 See my comment above. 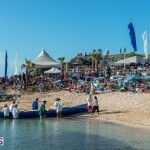 There were a lot of open seats in the “VIP section” — I think many chose to stand in the shade of the tent rather than the seatsh under the tent that were in the sun.